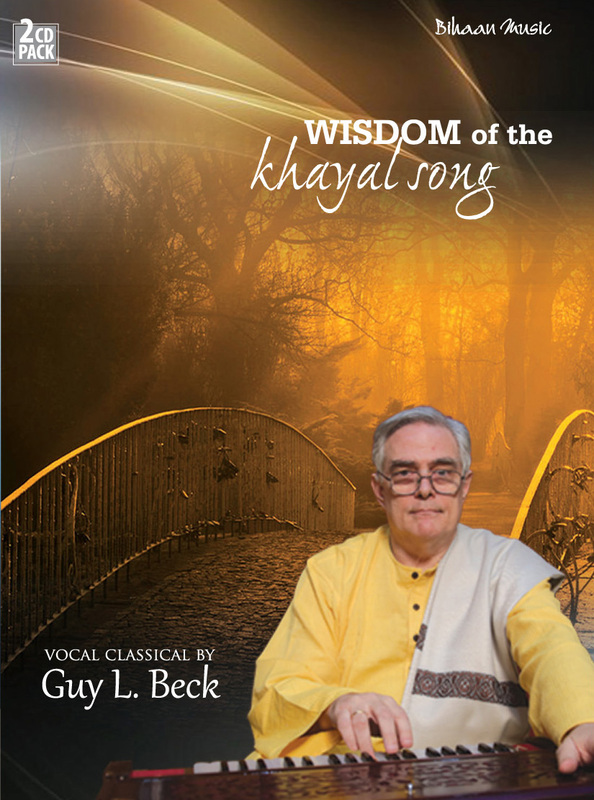 Change is the law of life and evolution is the quintessence of living. 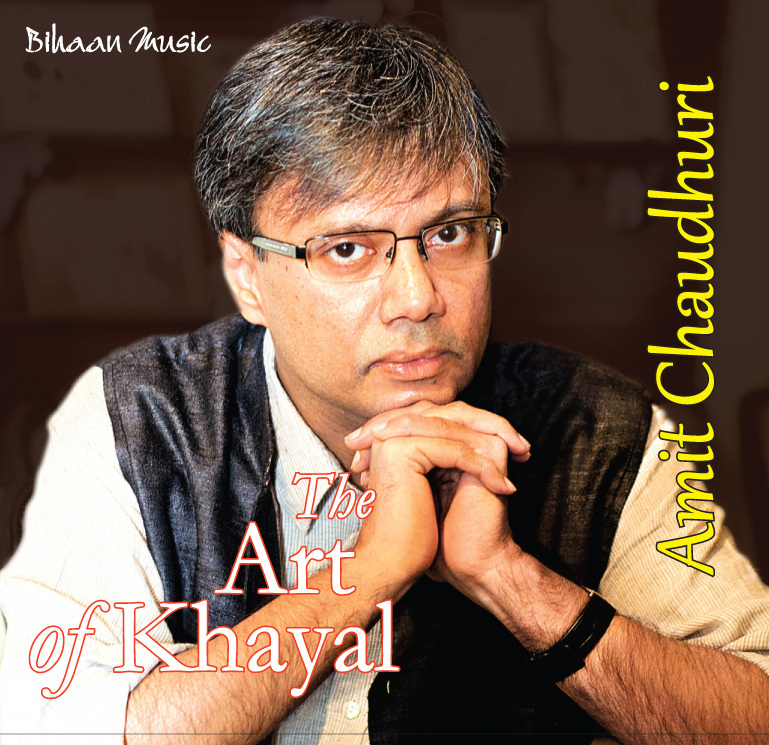 Evolution in any field of art is in variety, development which takes place successfully when innovative thoughts are blended with the rich tradition and culture, leading to the creation of something new. 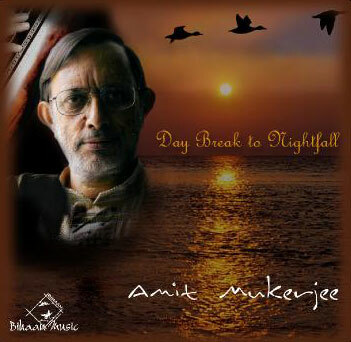 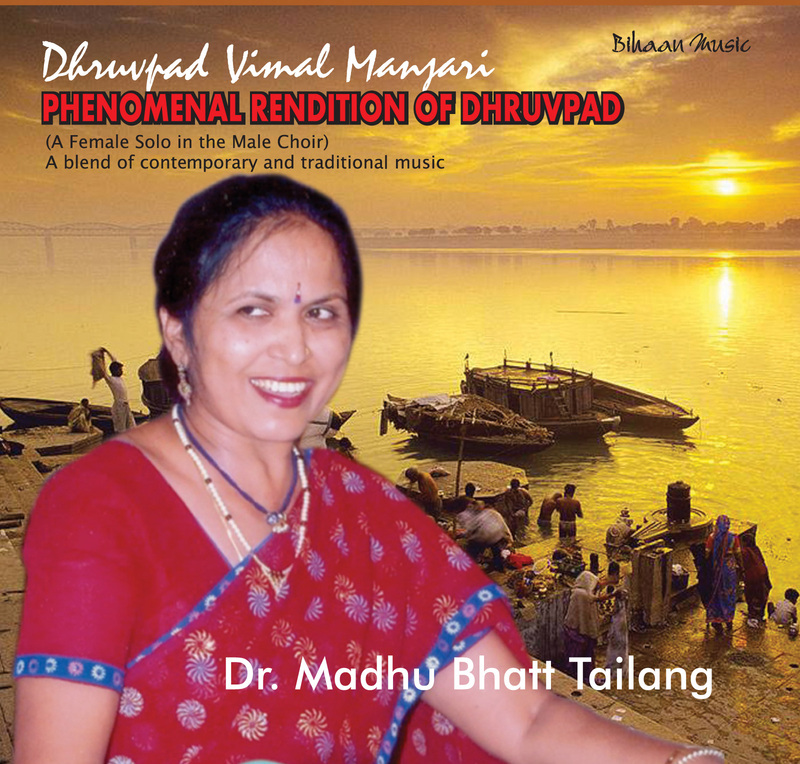 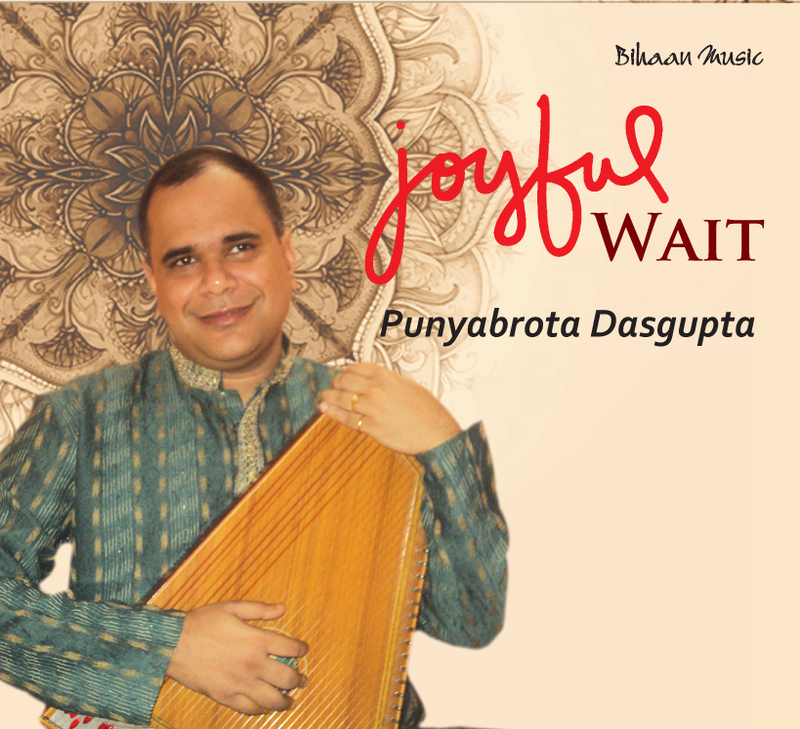 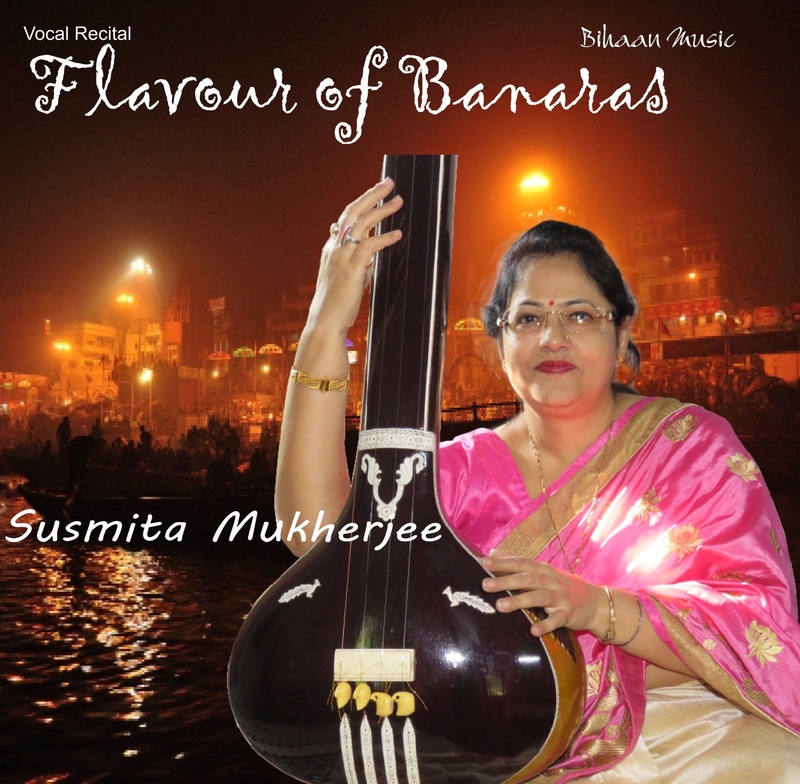 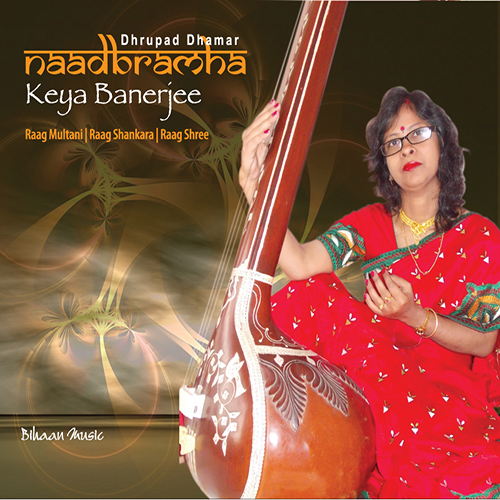 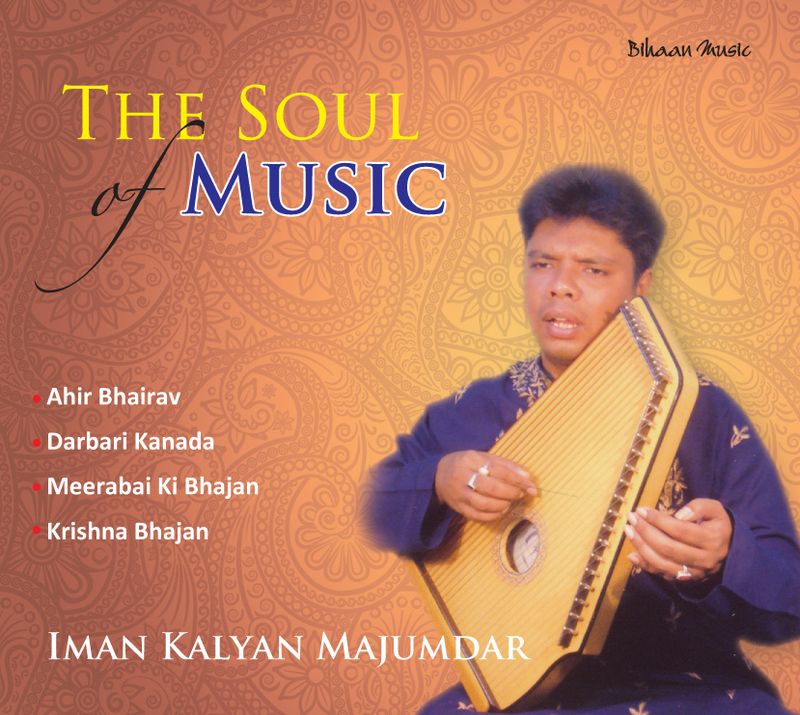 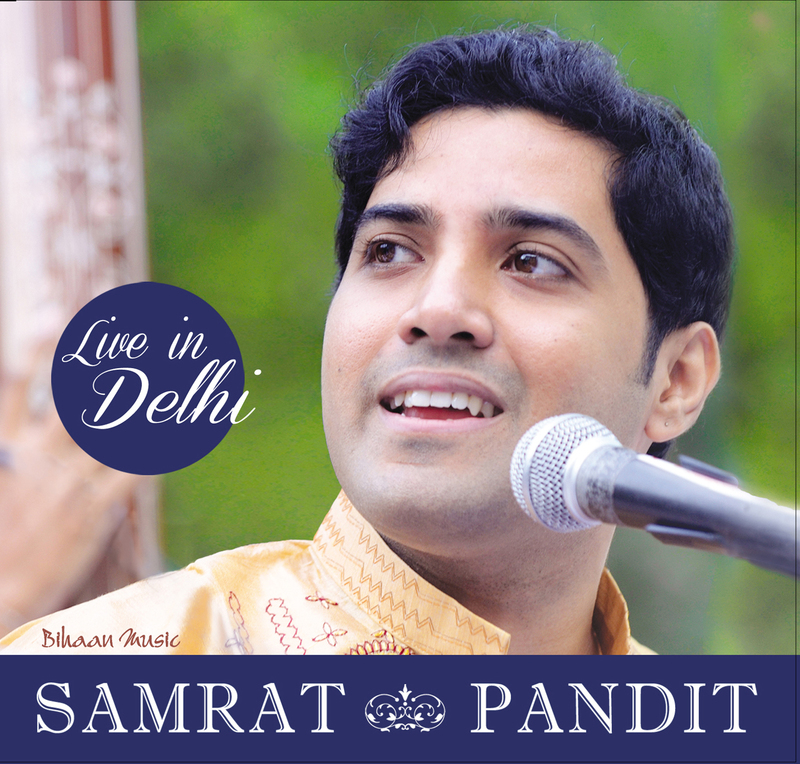 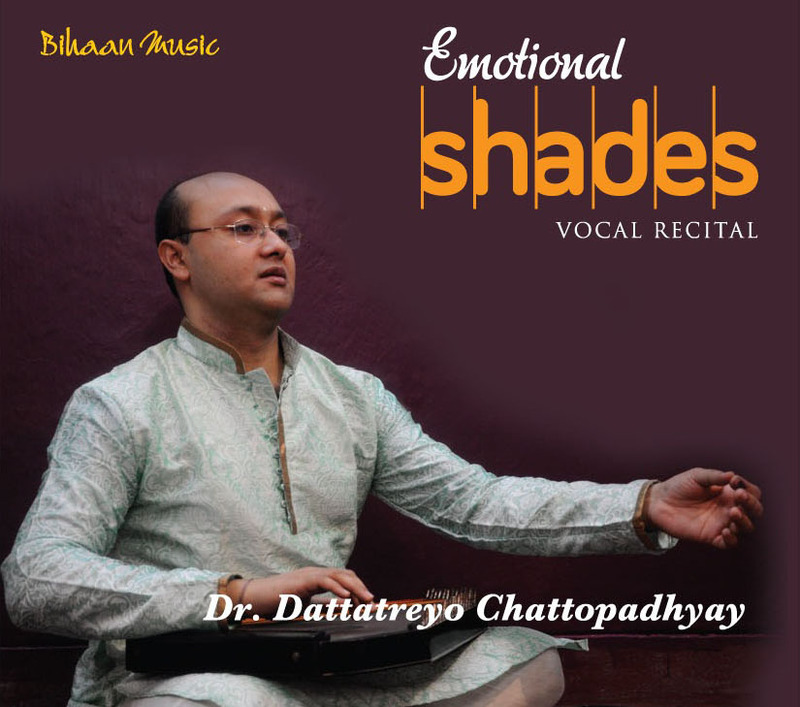 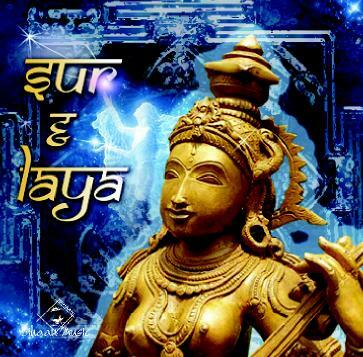 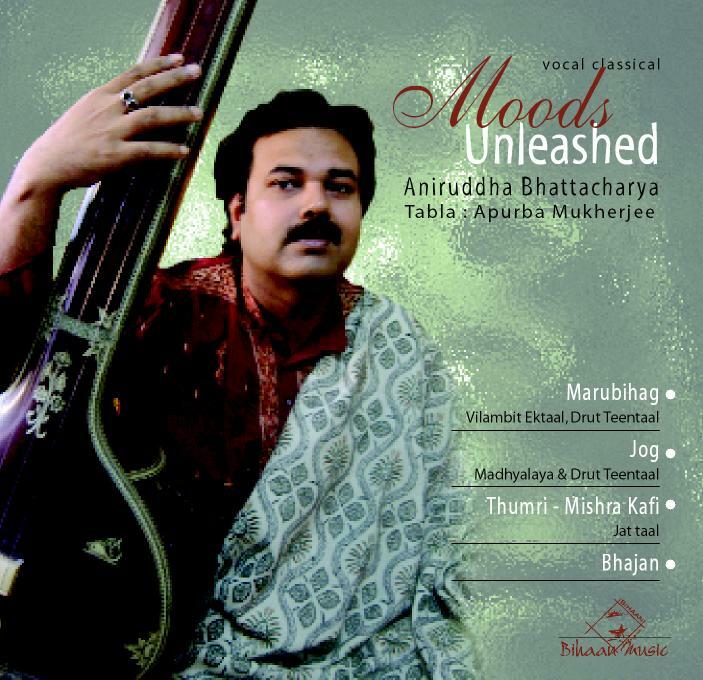 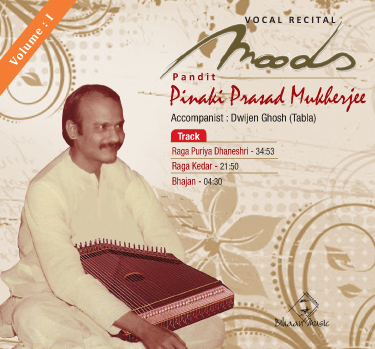 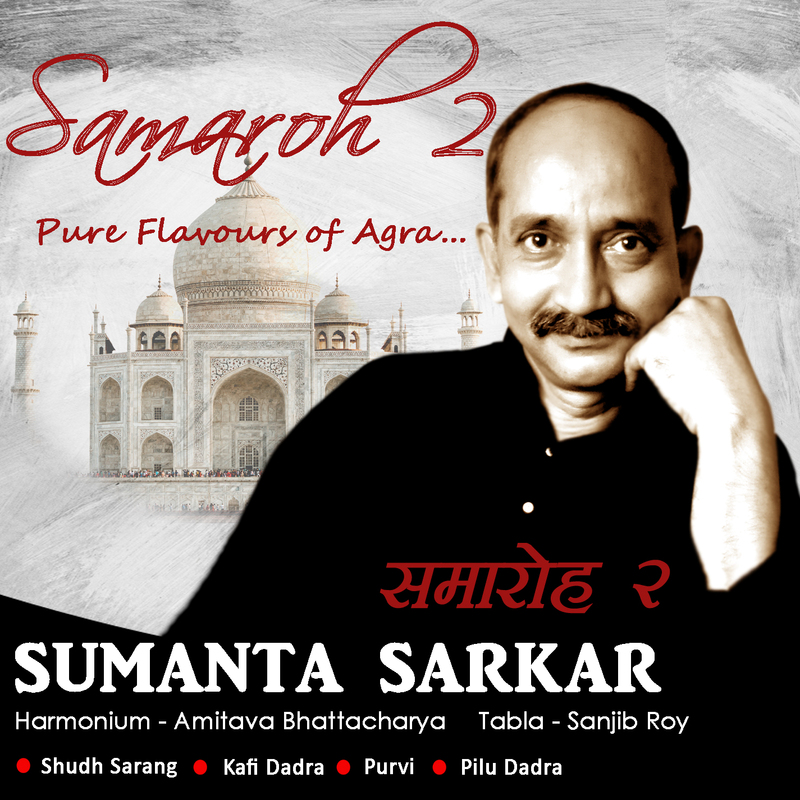 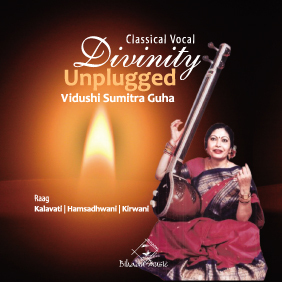 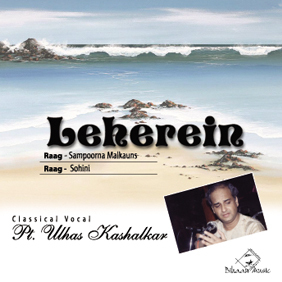 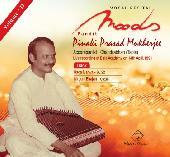 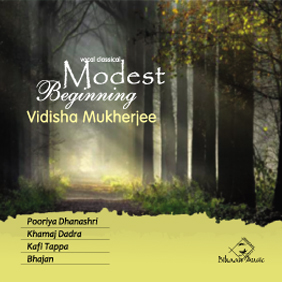 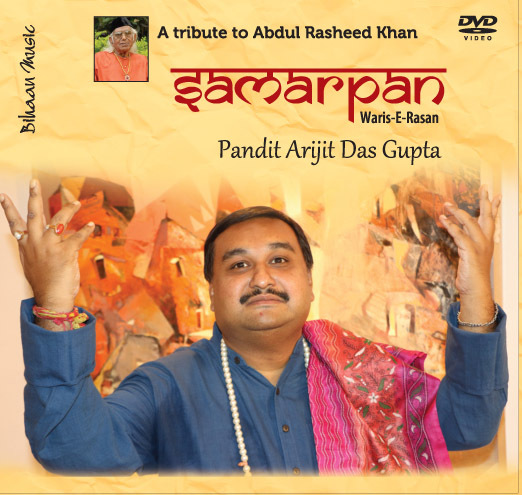 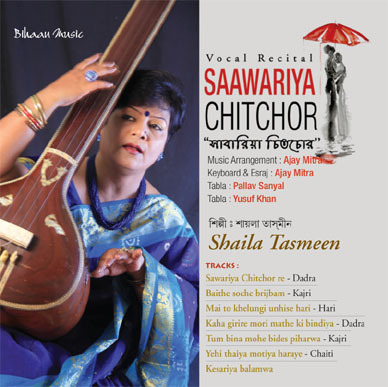 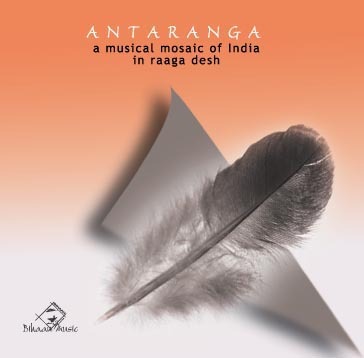 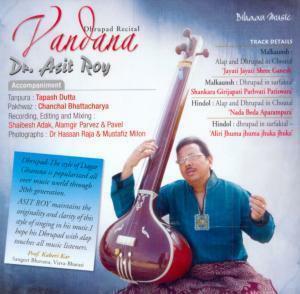 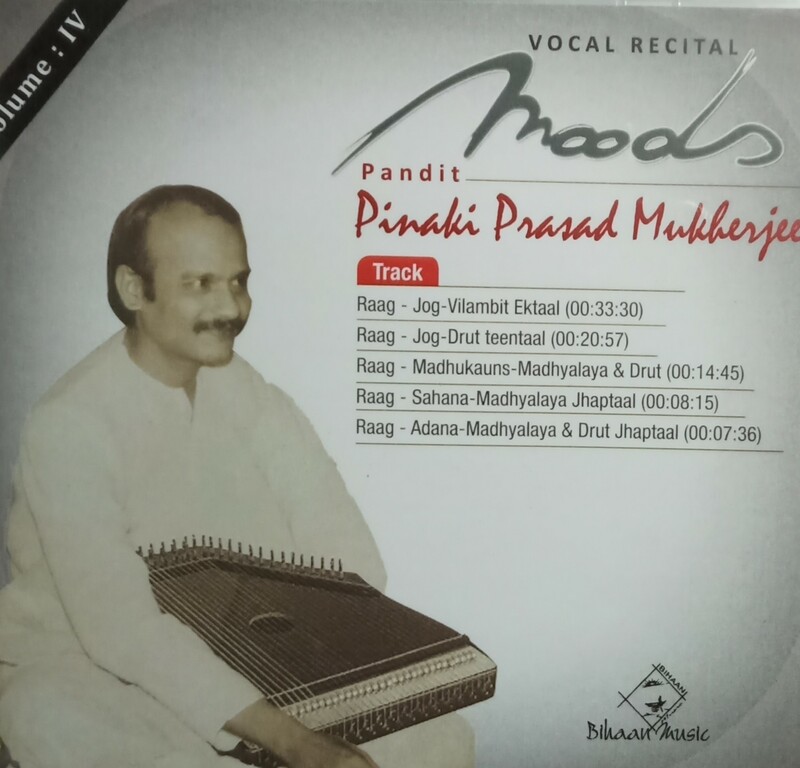 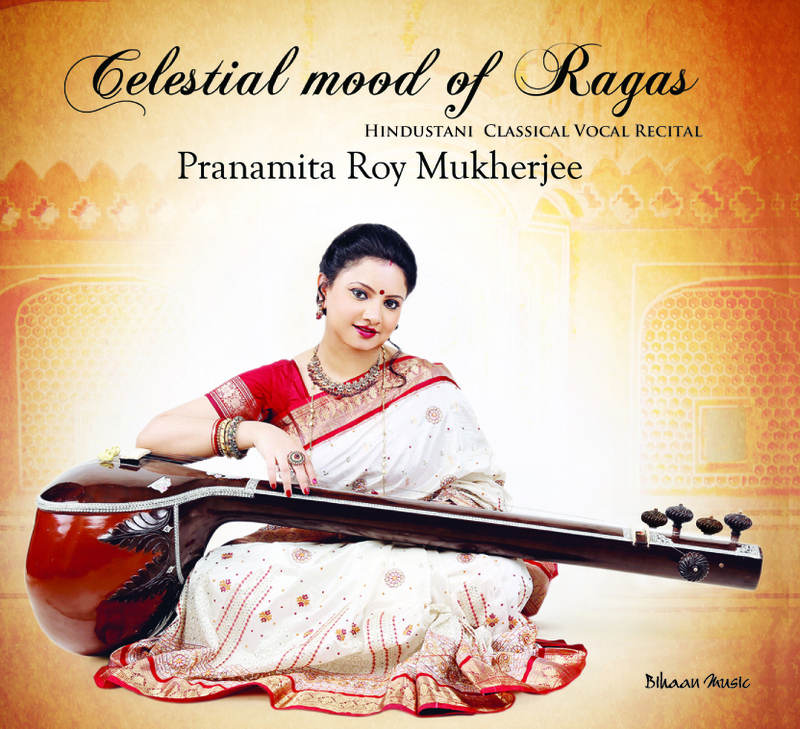 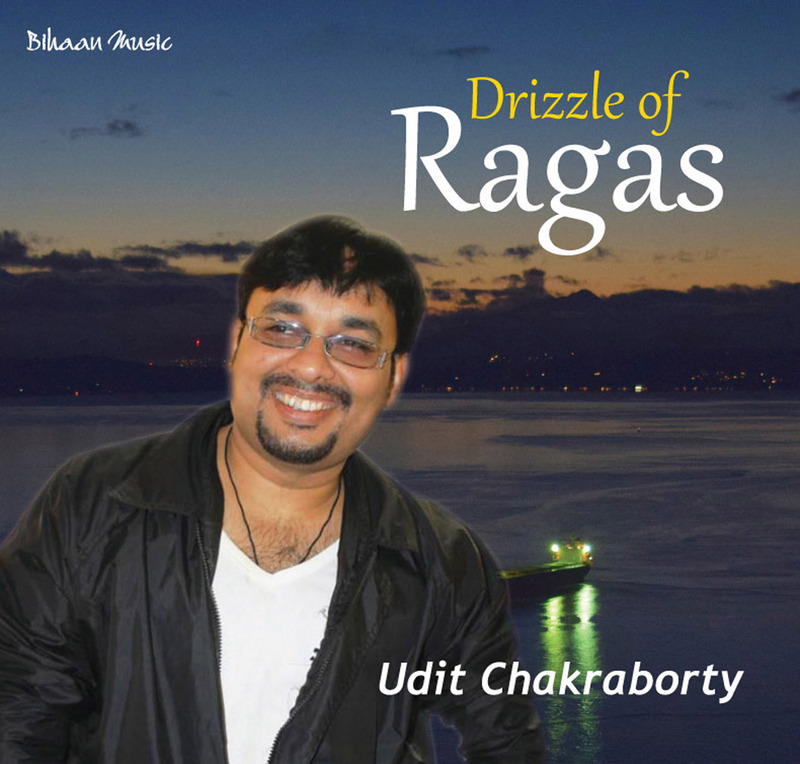 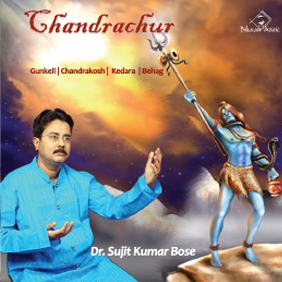 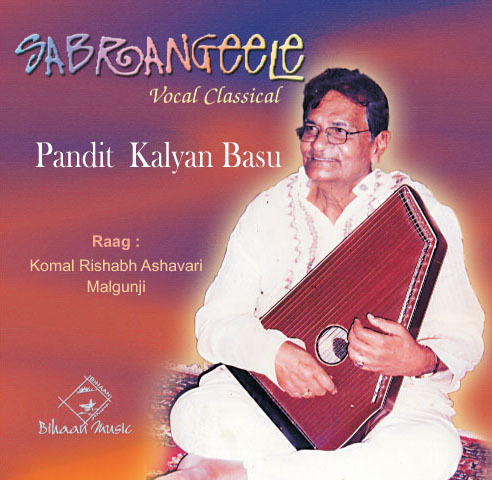 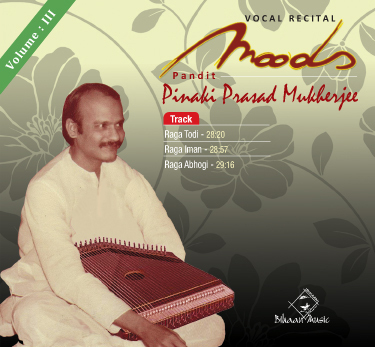 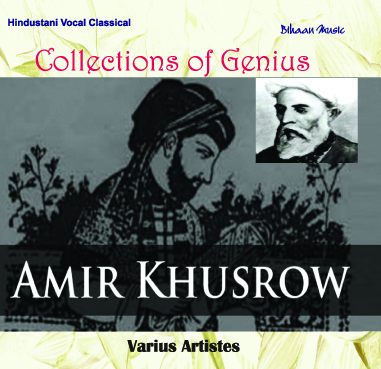 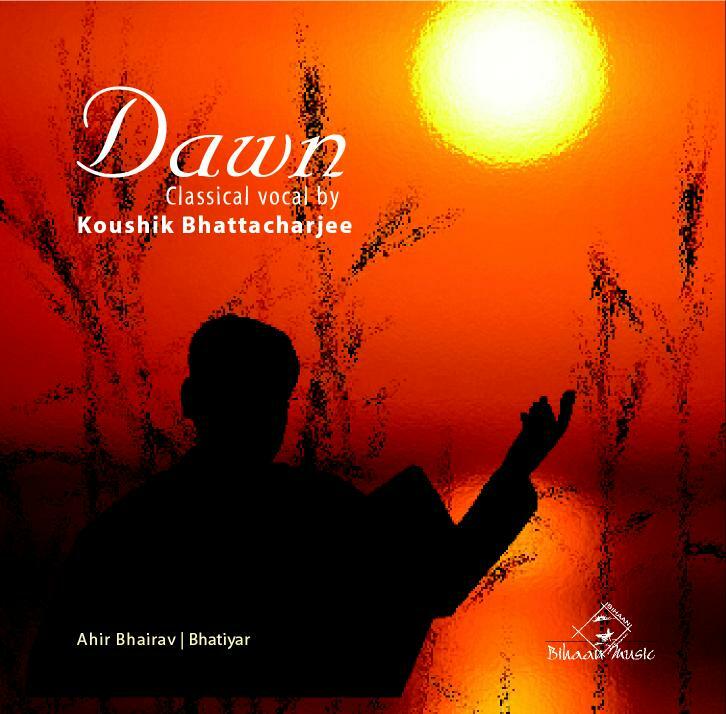 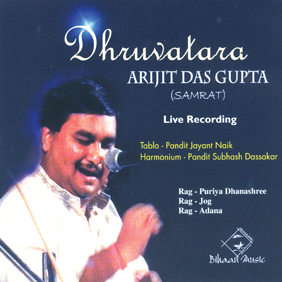 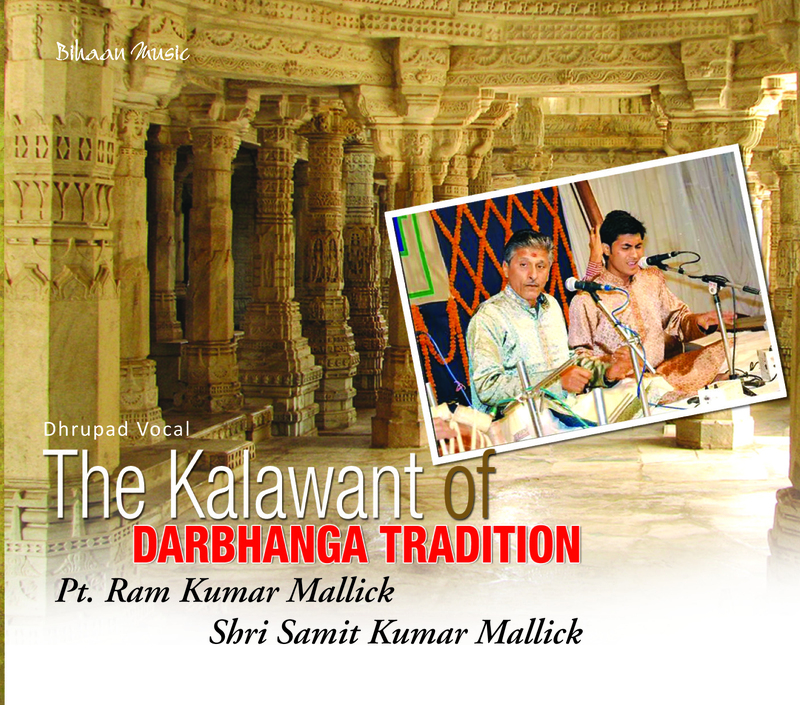 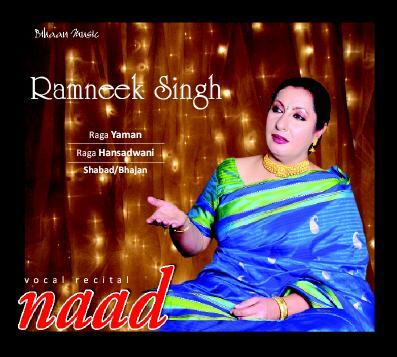 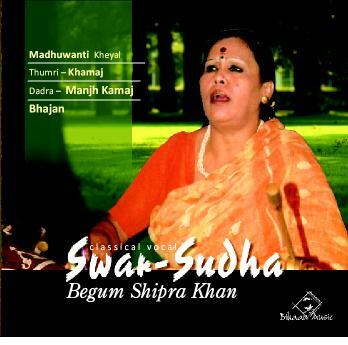 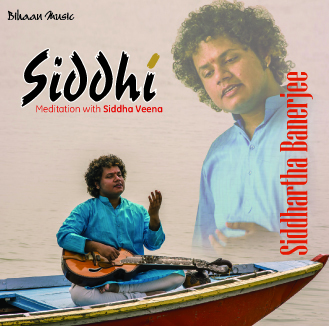 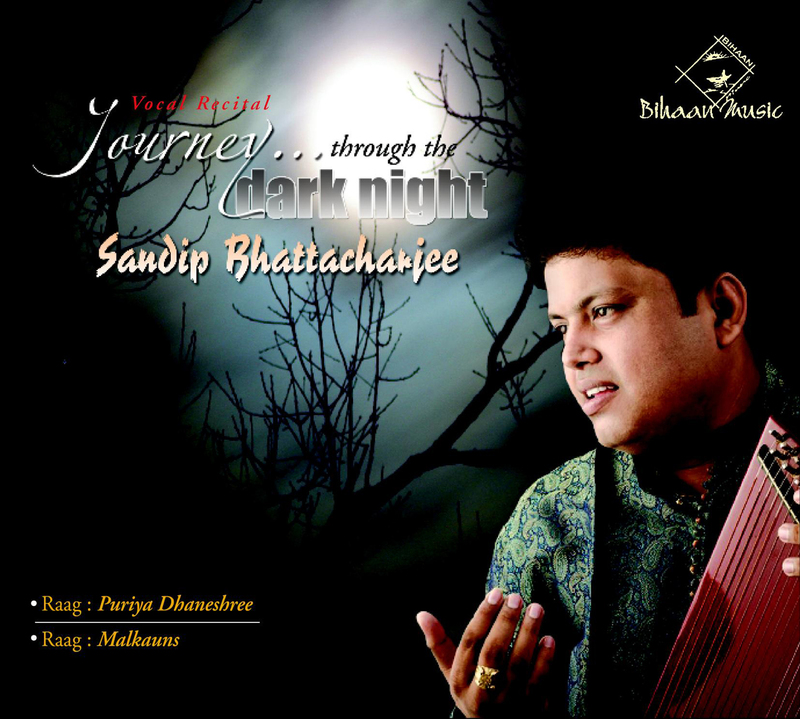 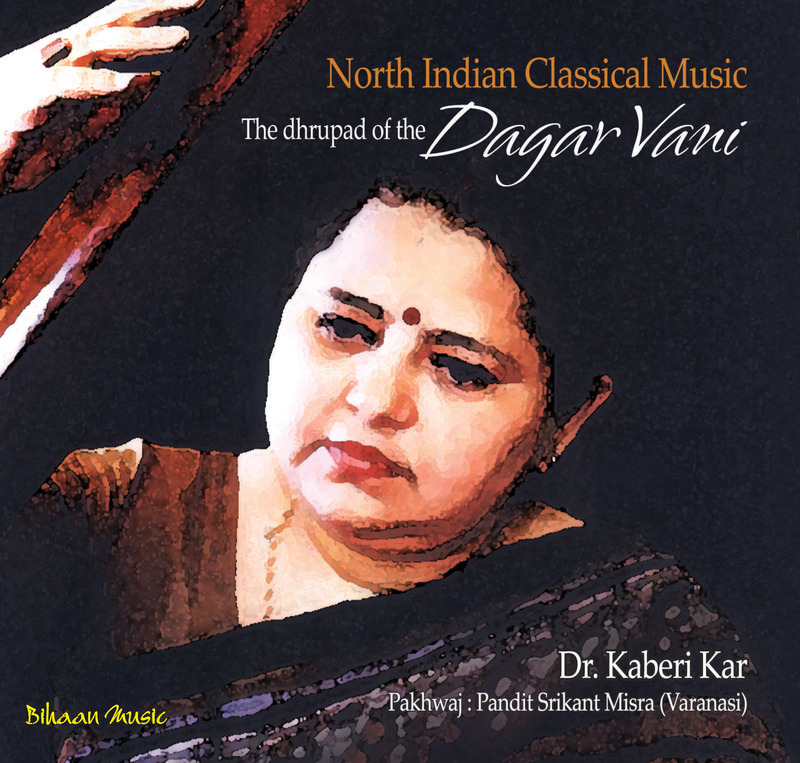 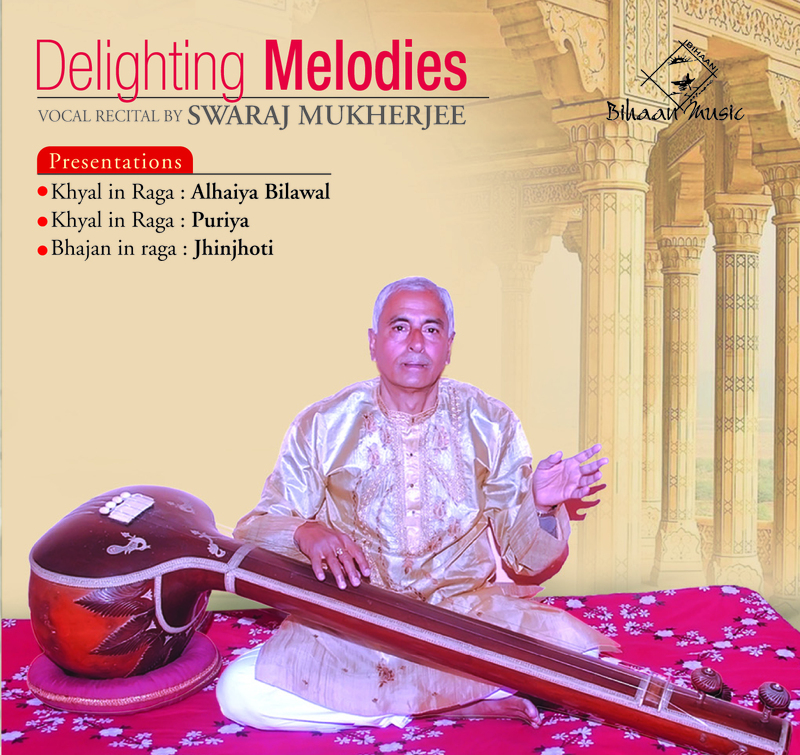 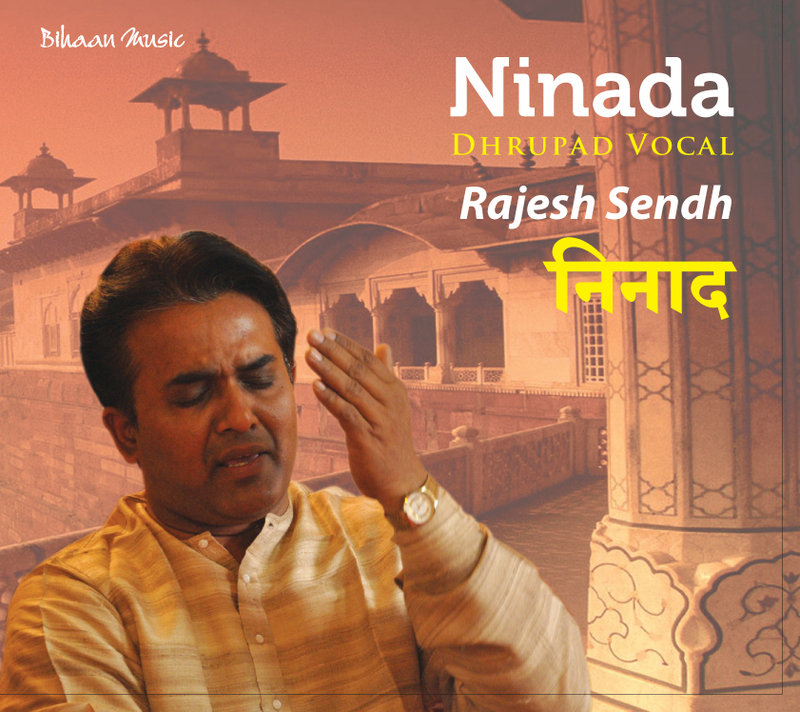 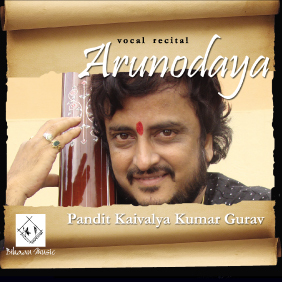 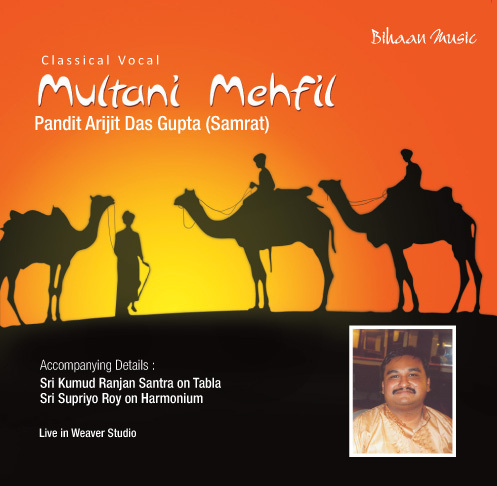 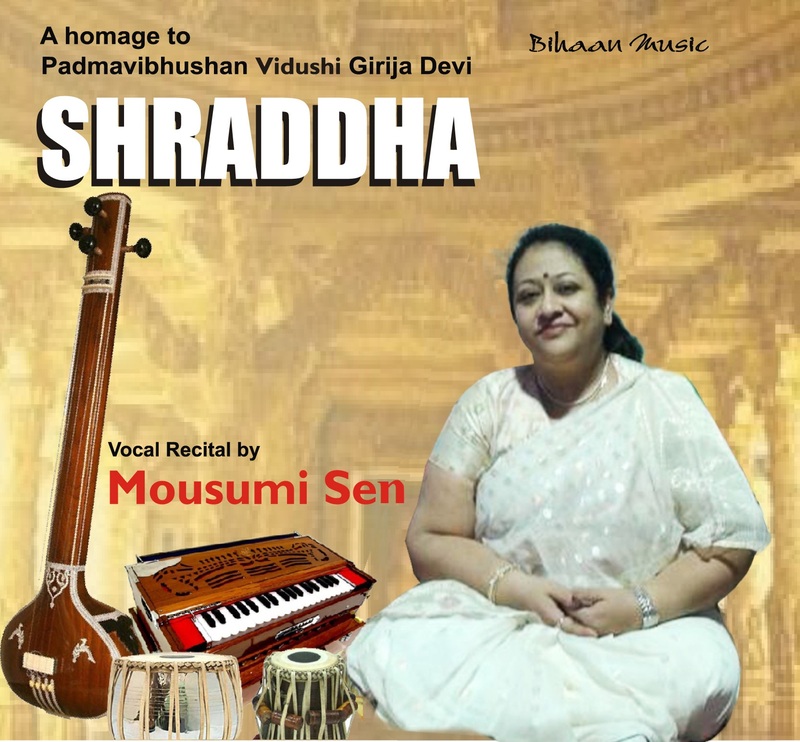 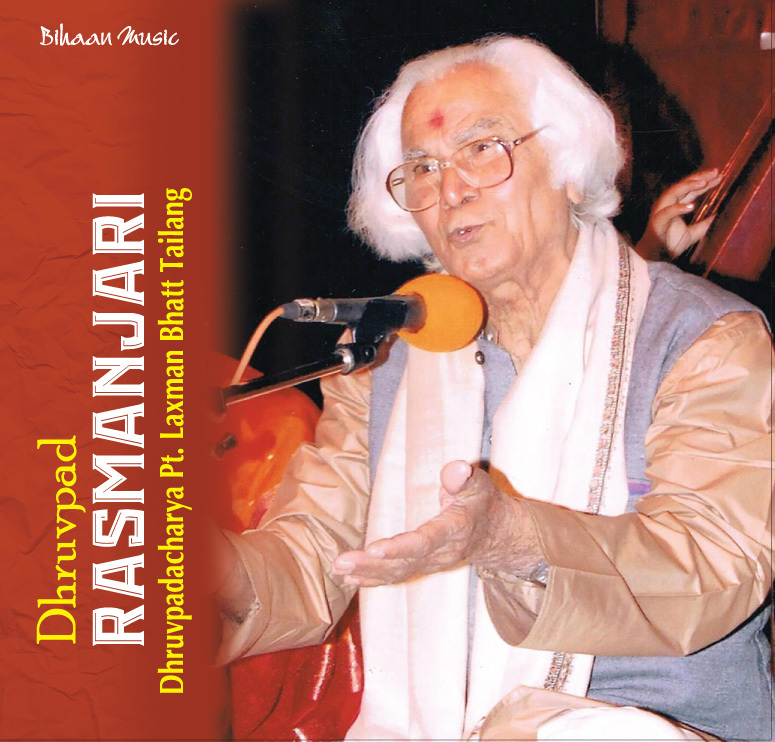 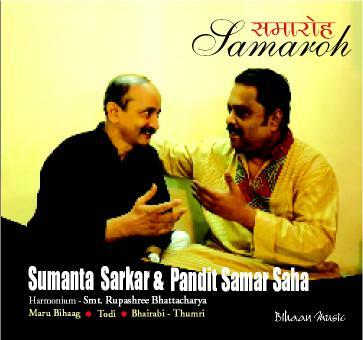 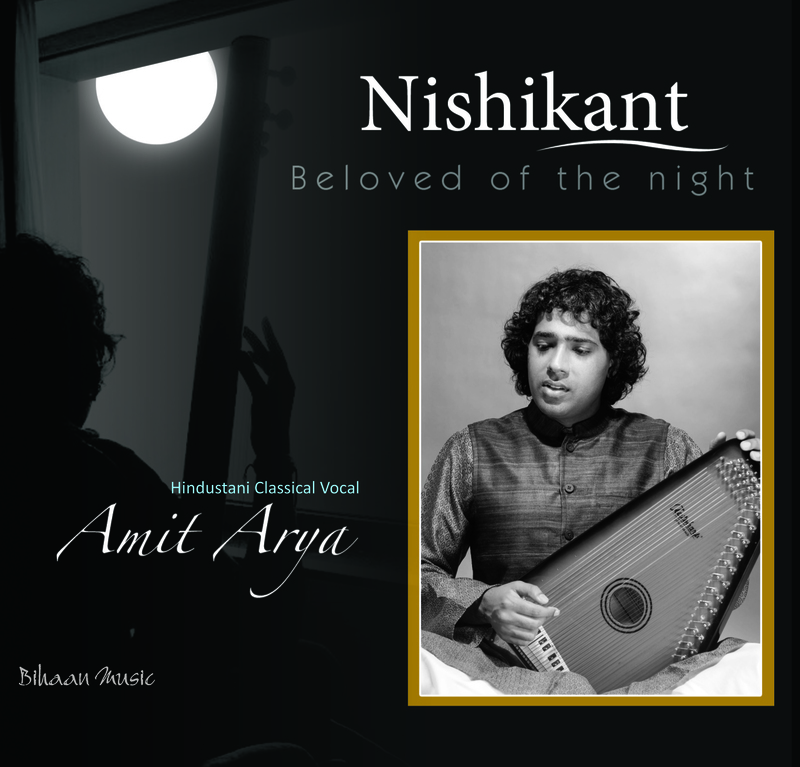 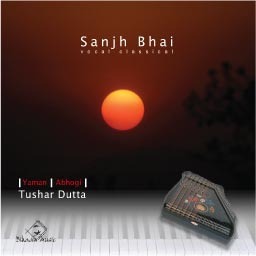 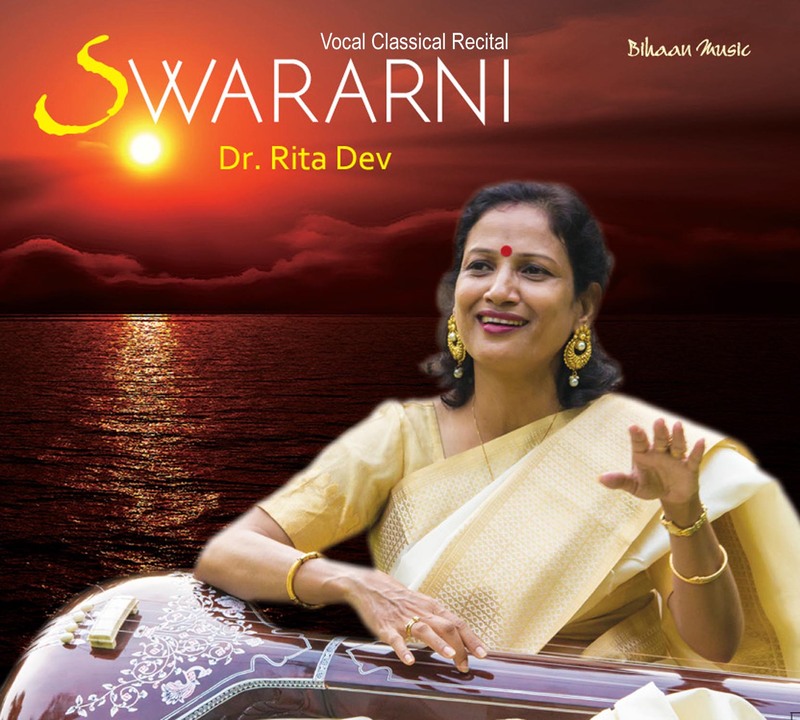 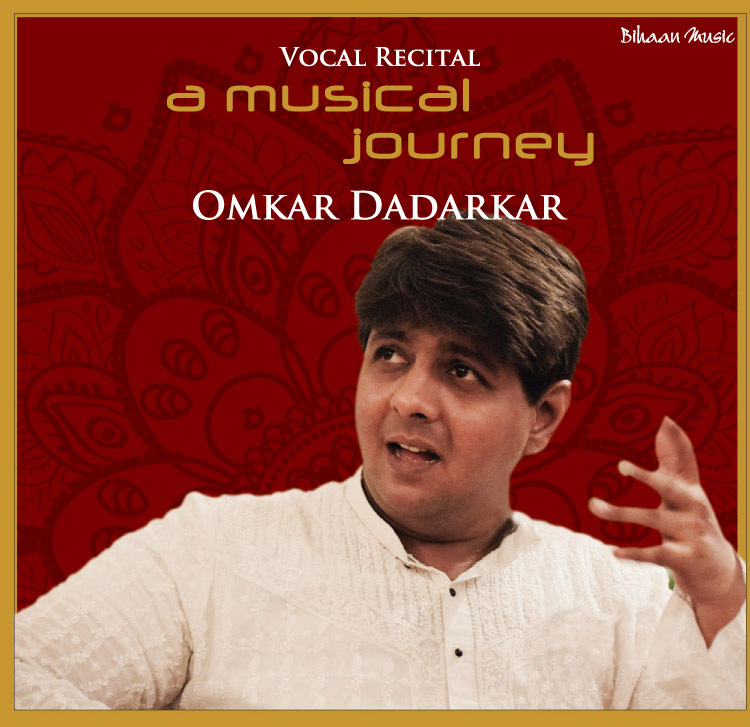 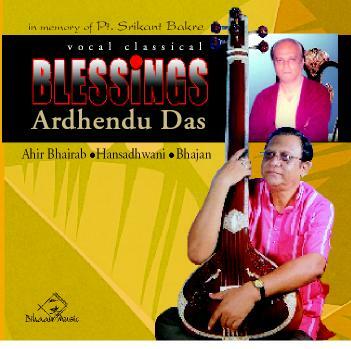 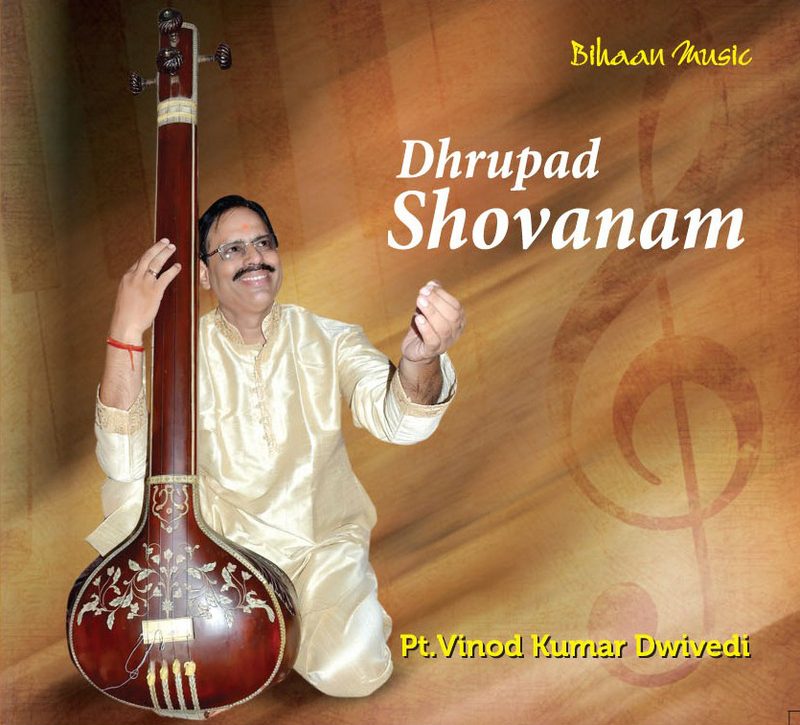 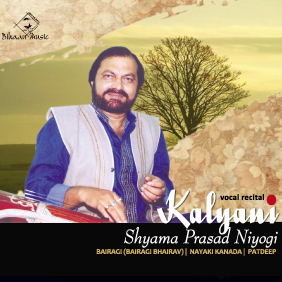 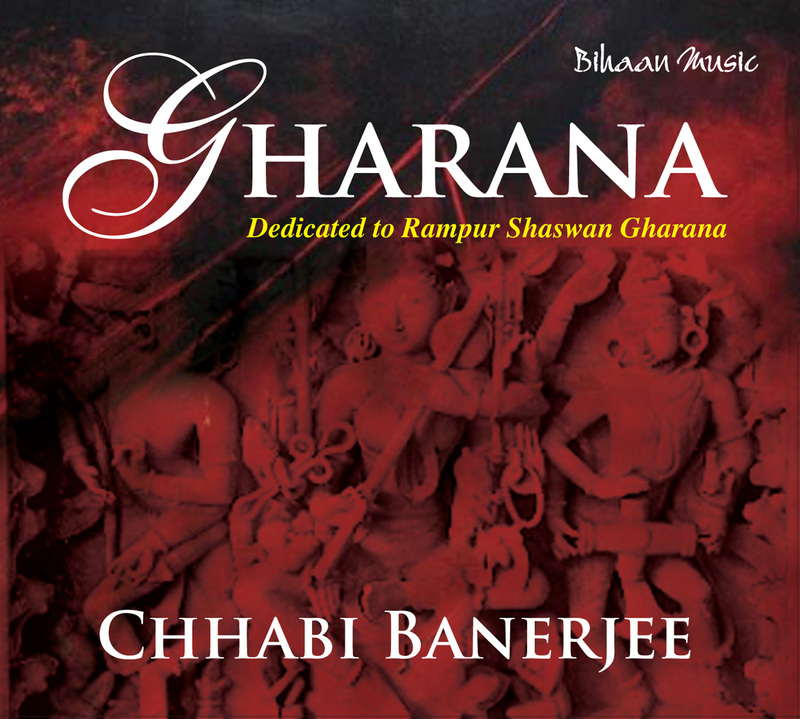 In this musical album the traditional form of thumri, kajri, chaiti, jhula, hori and dadra have been used in a somewhat different context. 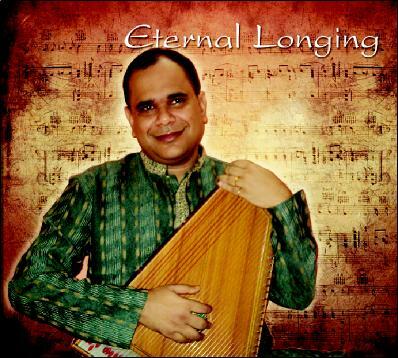 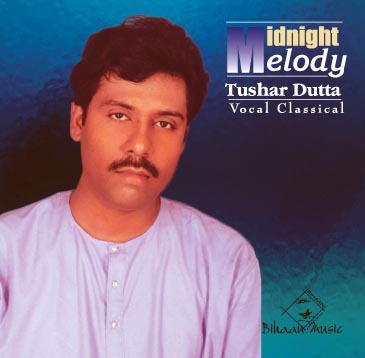 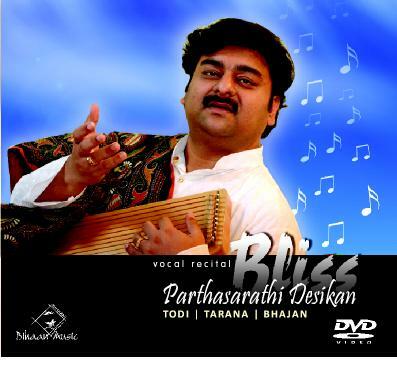 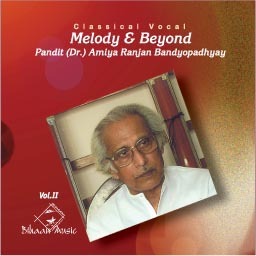 The traditional genre of light classical music has been presented with the help of Western instruments such as the keyboard and the guitar and the elements of Western rhythm have been incorporated as well. 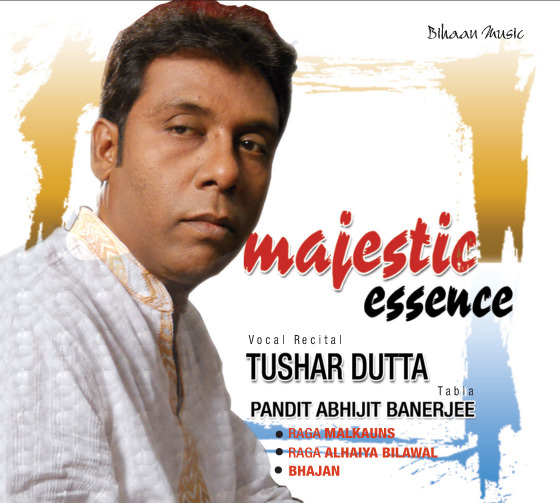 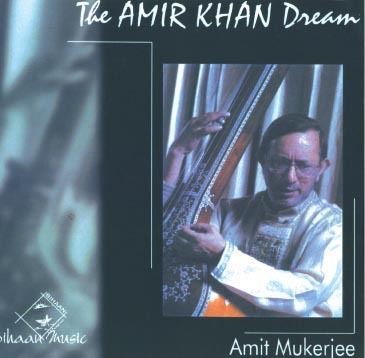 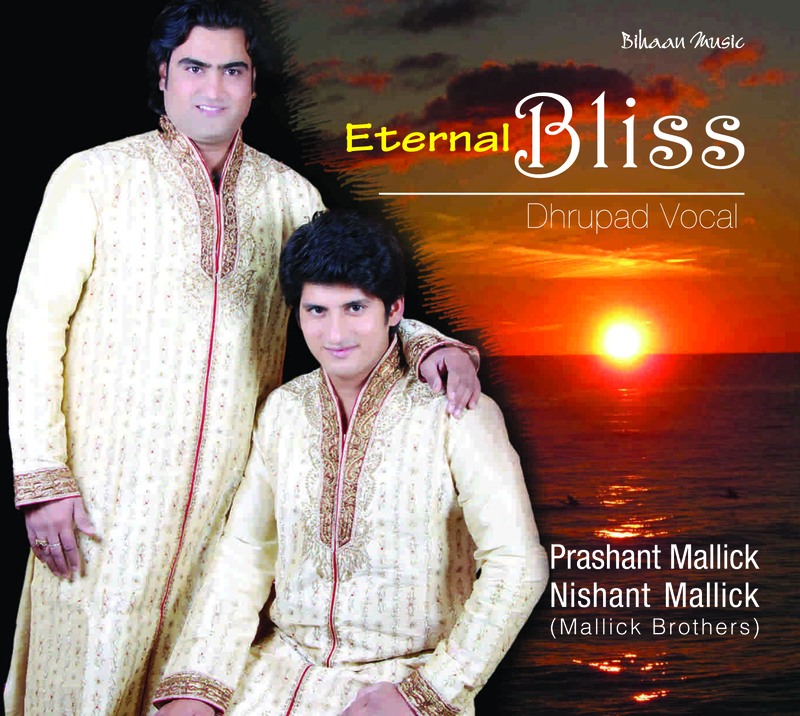 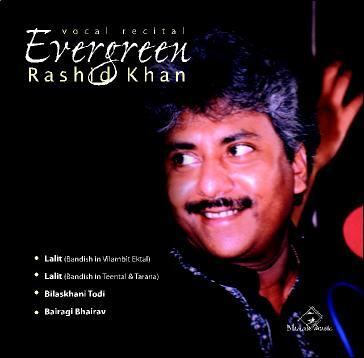 The unique blending of eastern melody with western harmony leads to the creation of a new style, leaving no scope of saying,’’…East is East and West is West and never the two shall meet,’’. 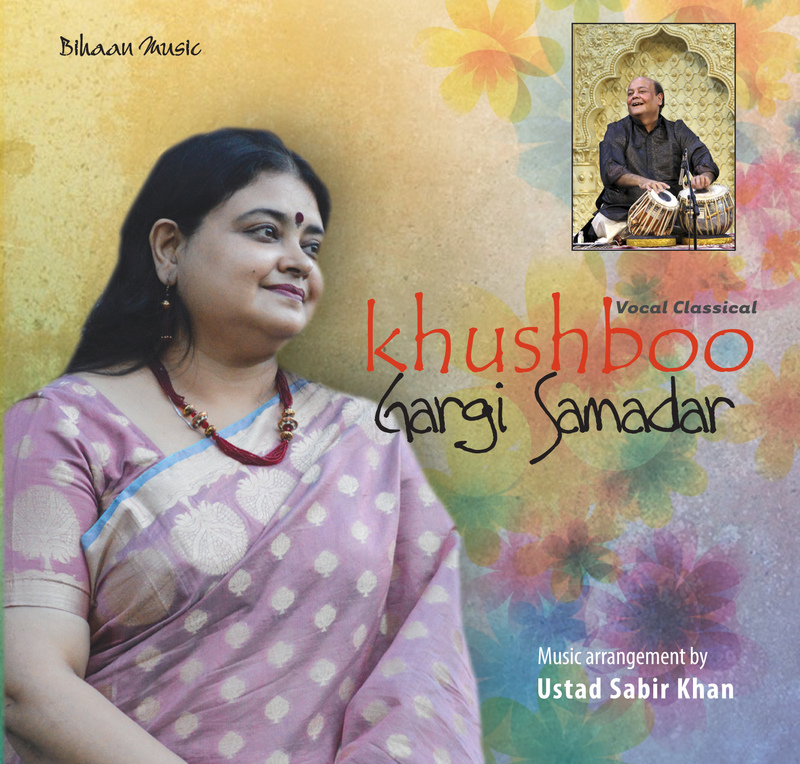 Gargi Samadar is a versatile Hindustani Classical vocalist who also performs semi classical forms. 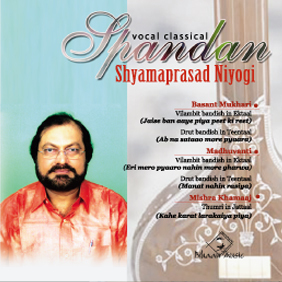 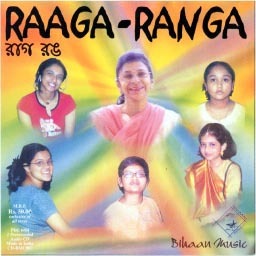 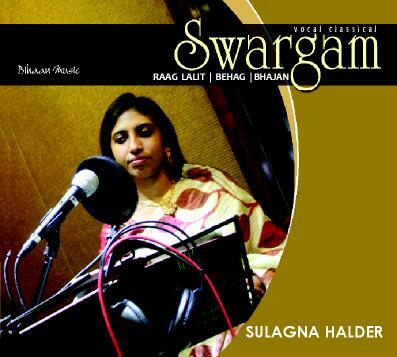 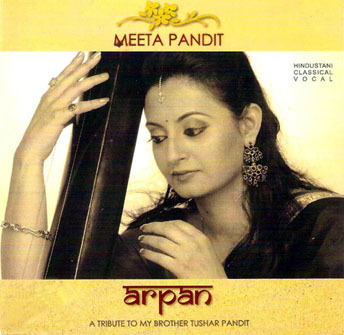 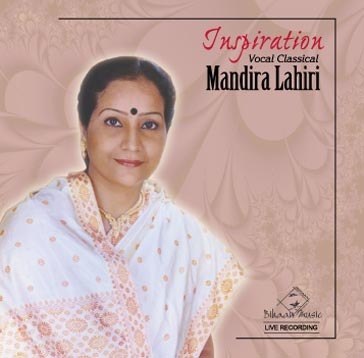 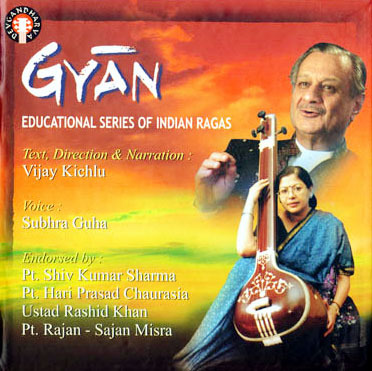 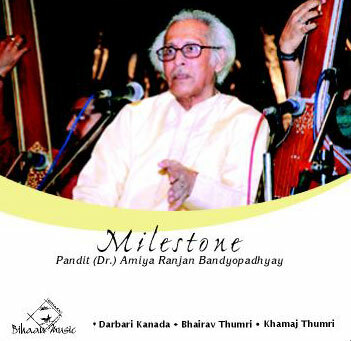 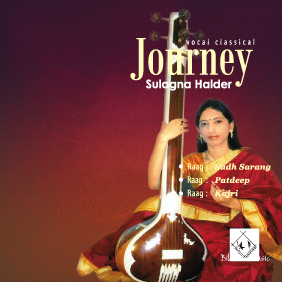 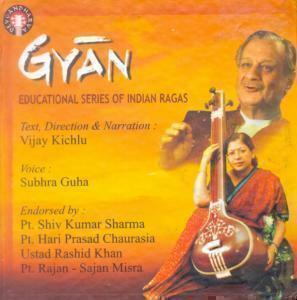 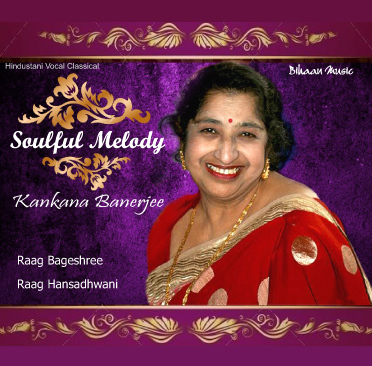 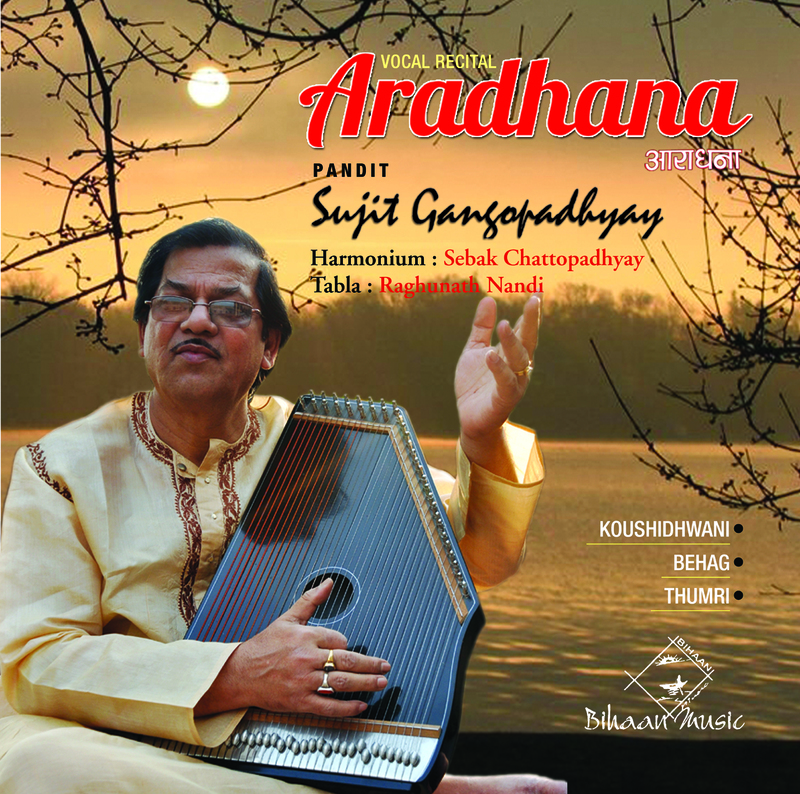 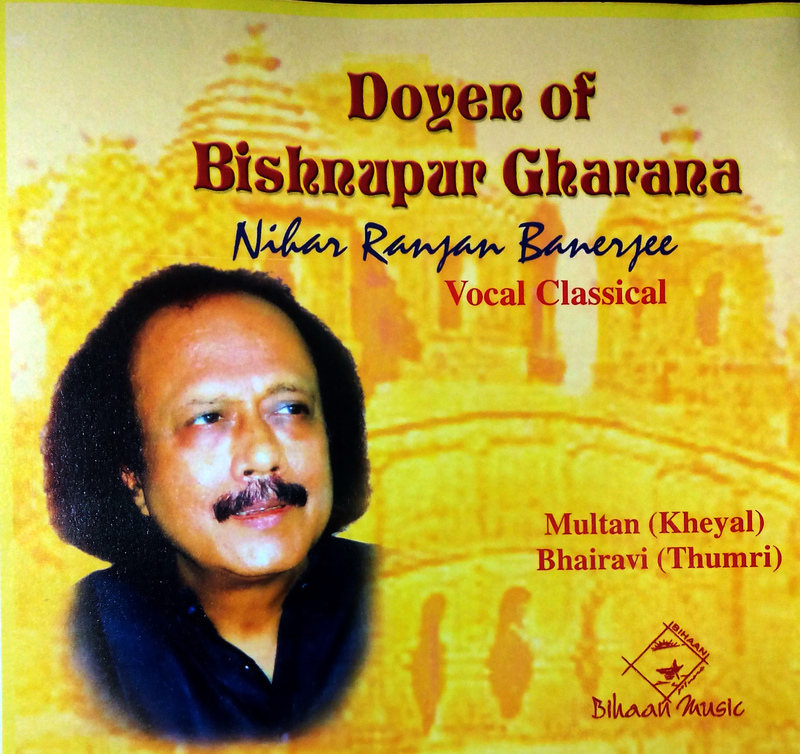 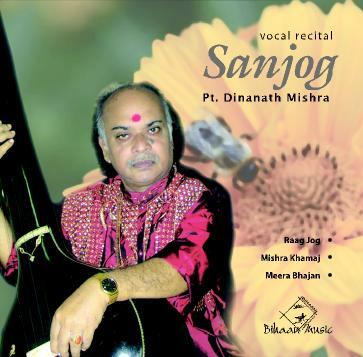 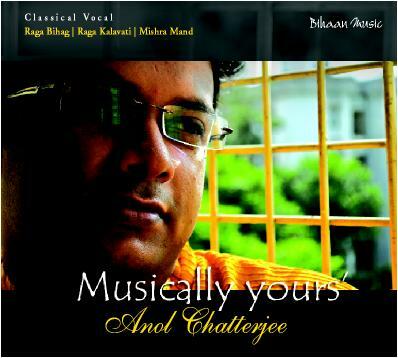 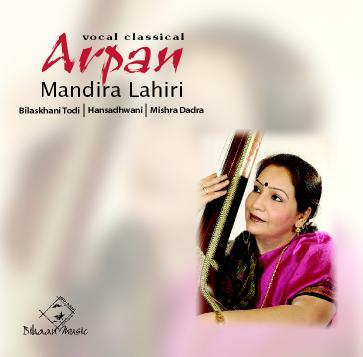 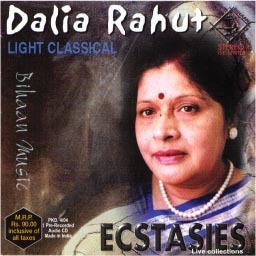 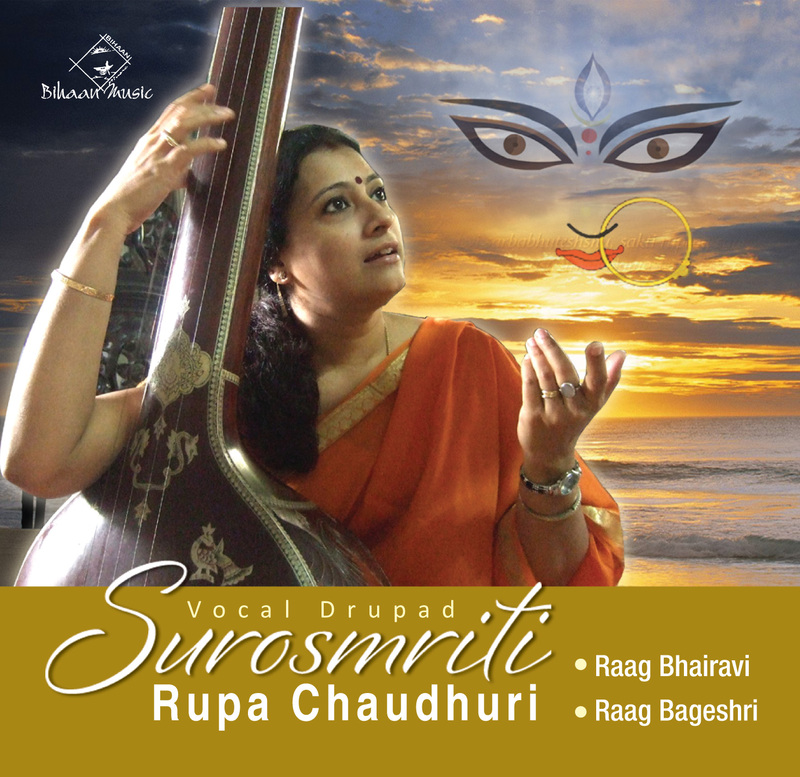 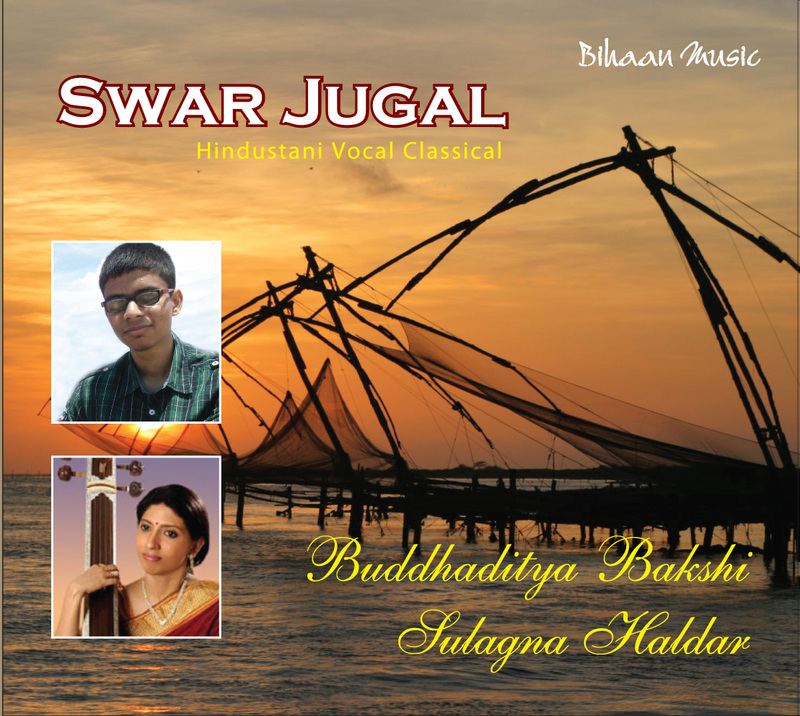 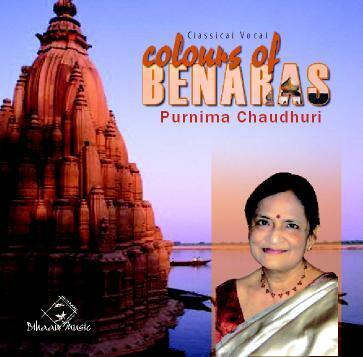 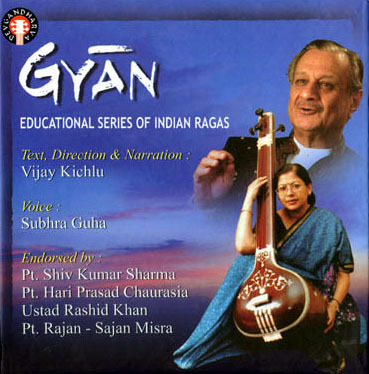 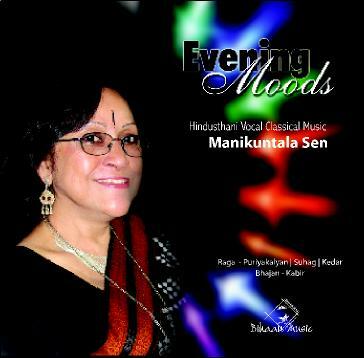 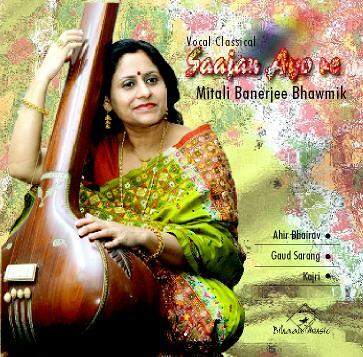 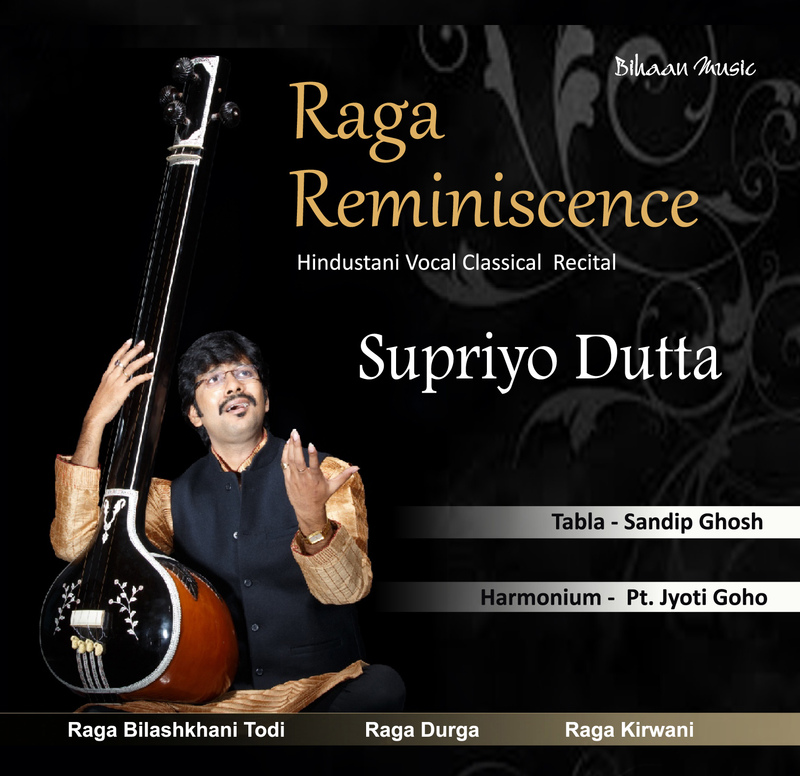 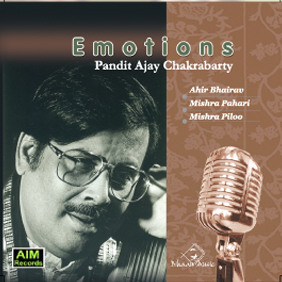 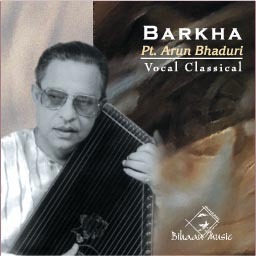 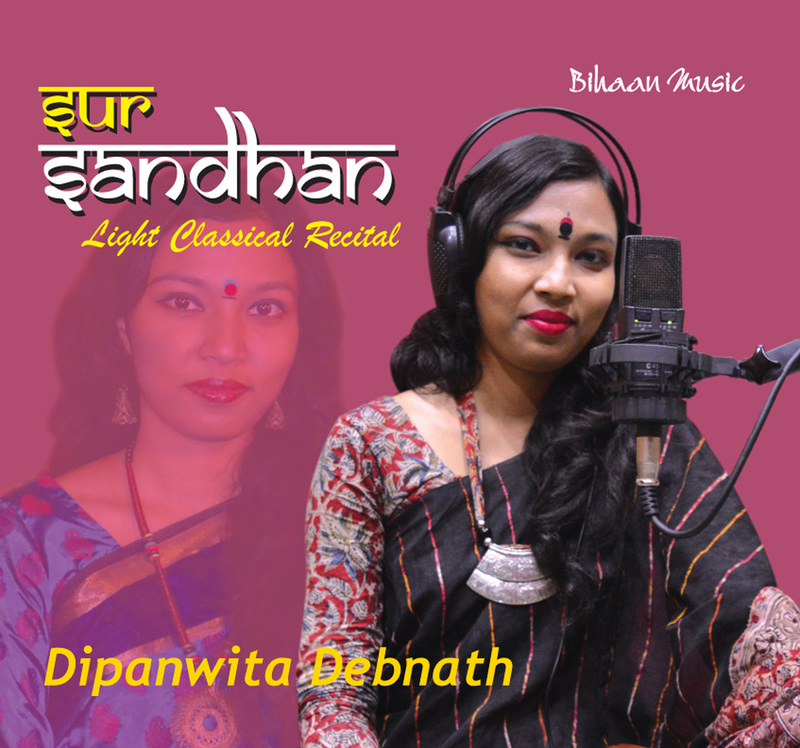 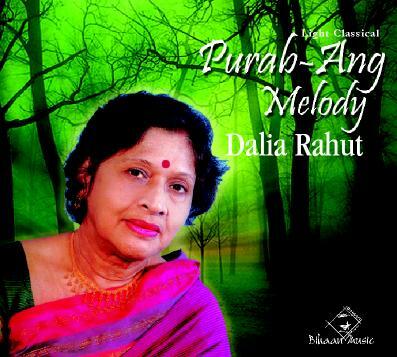 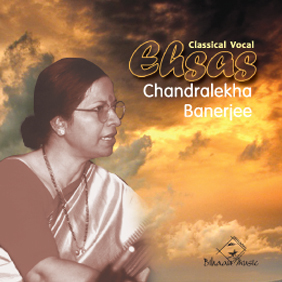 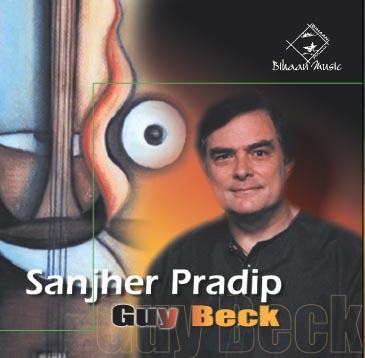 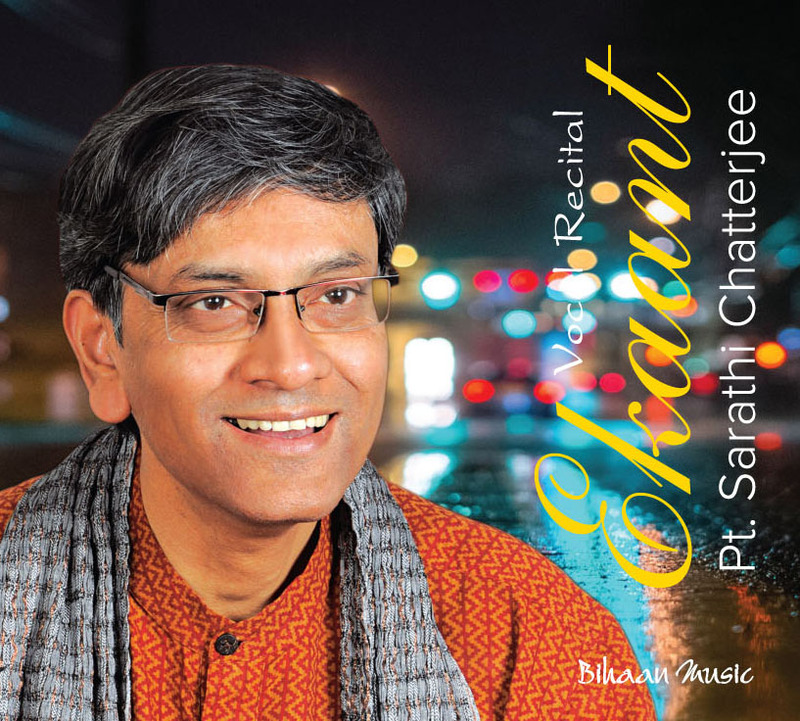 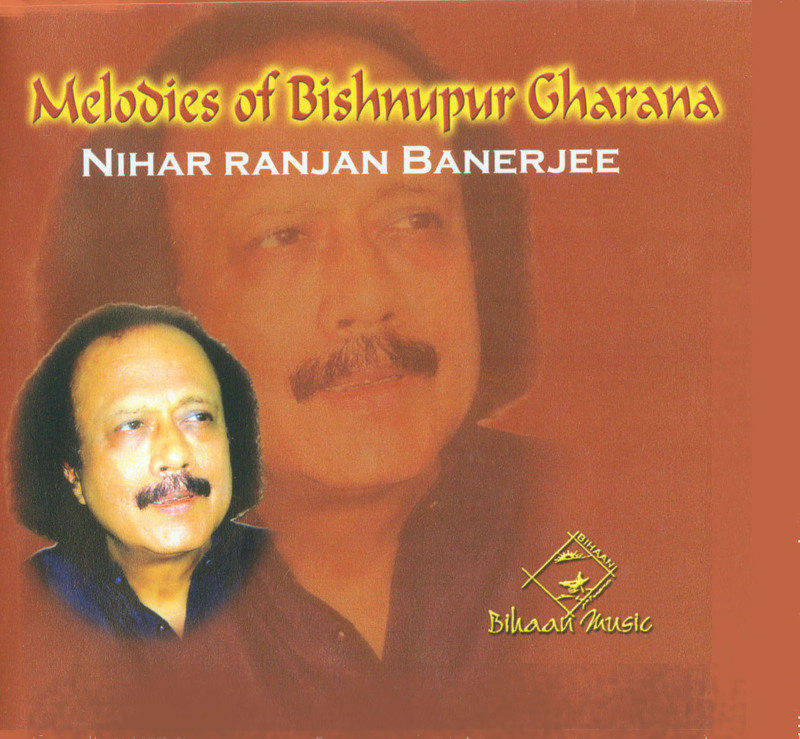 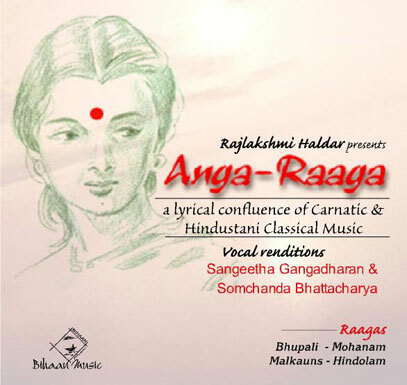 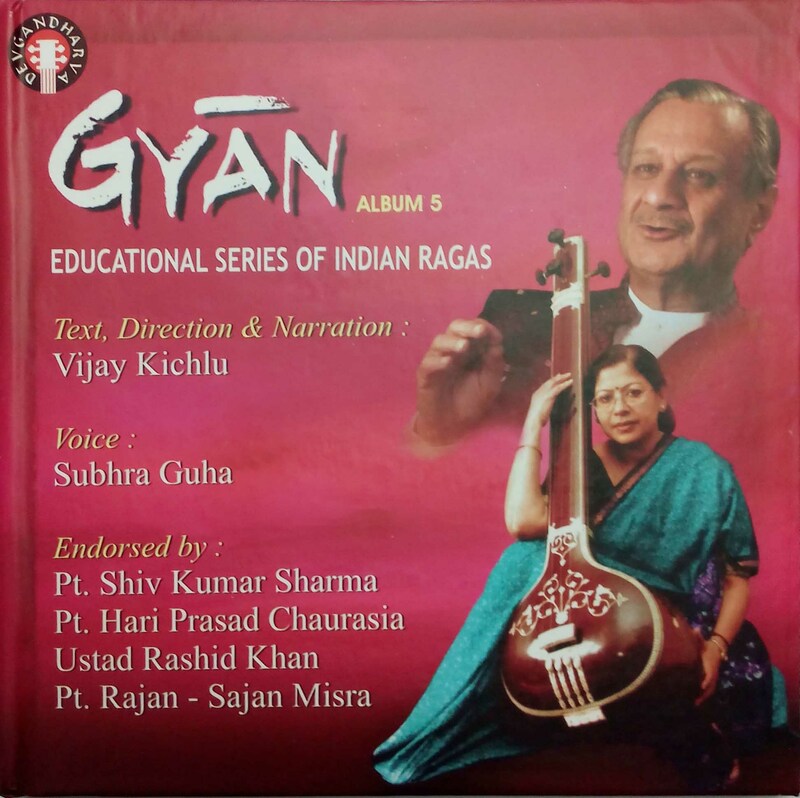 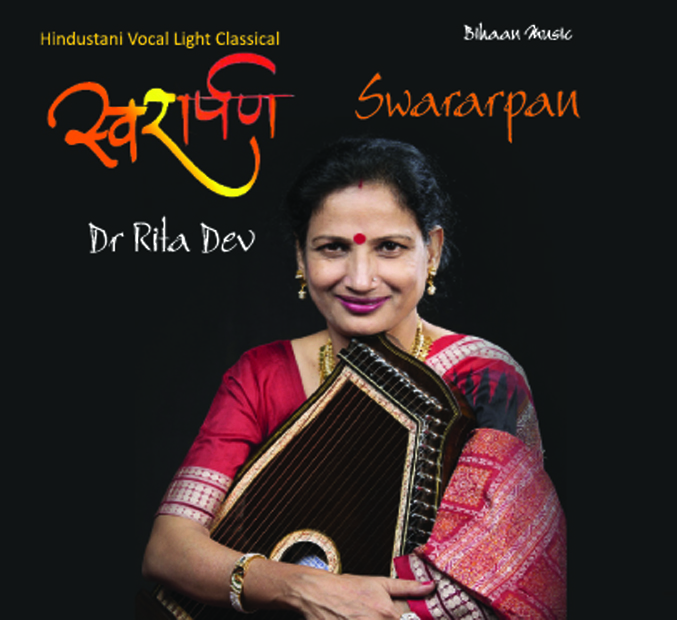 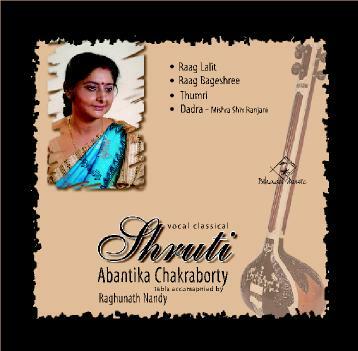 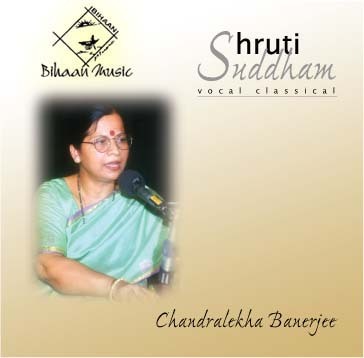 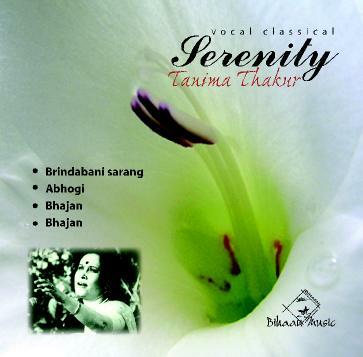 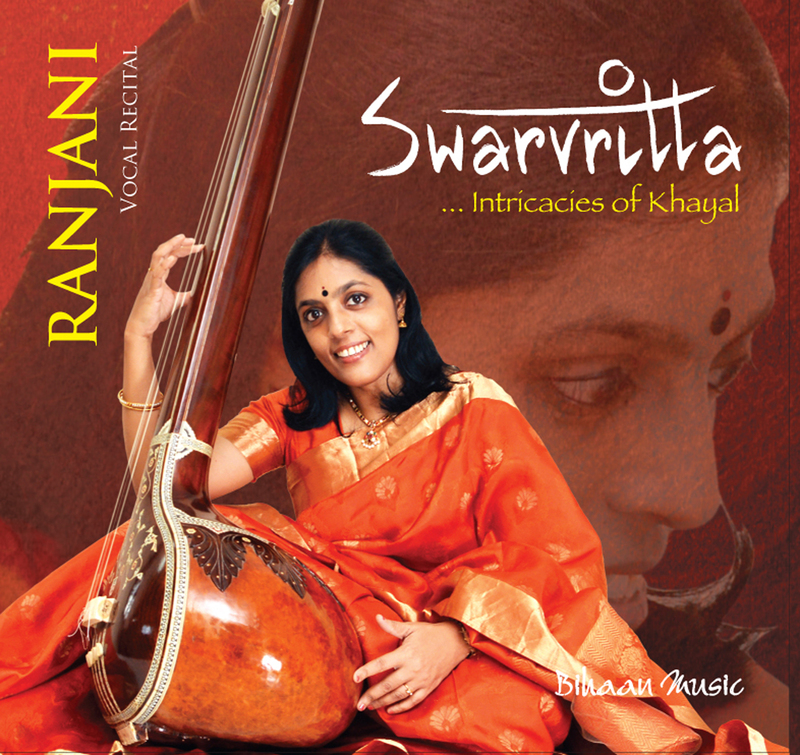 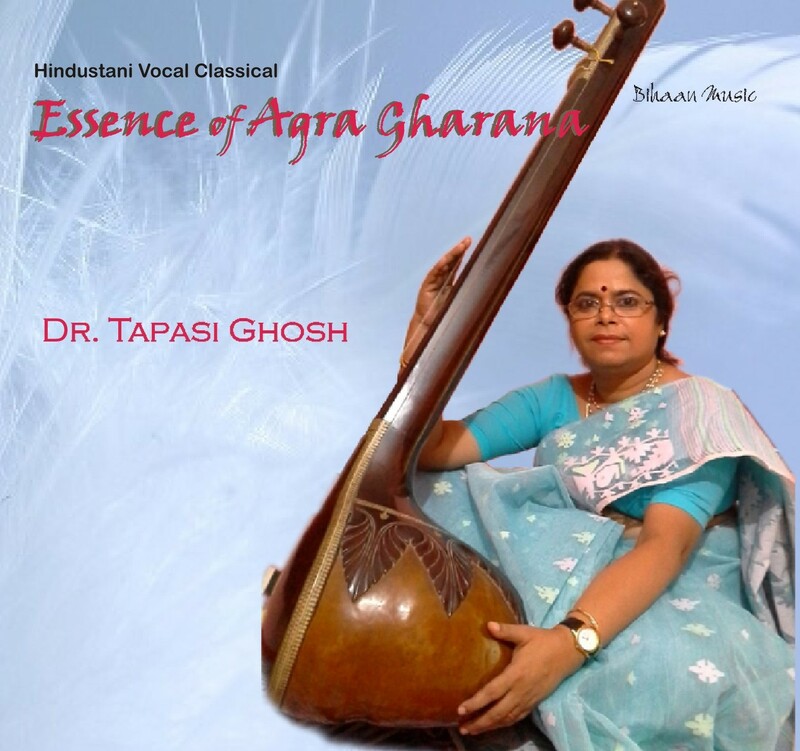 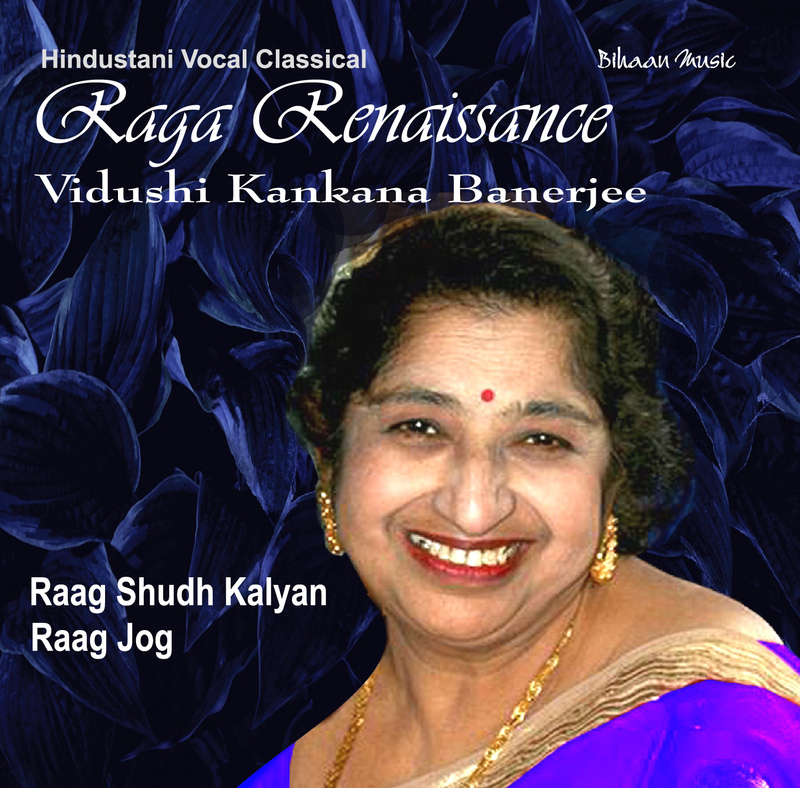 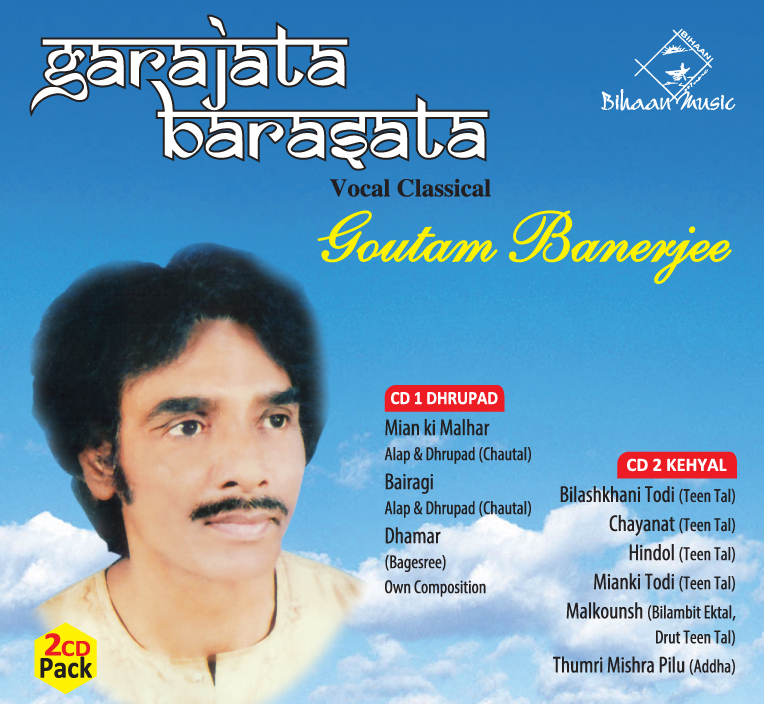 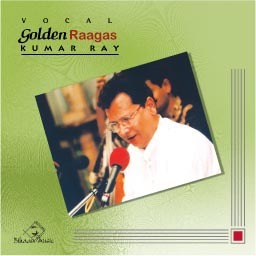 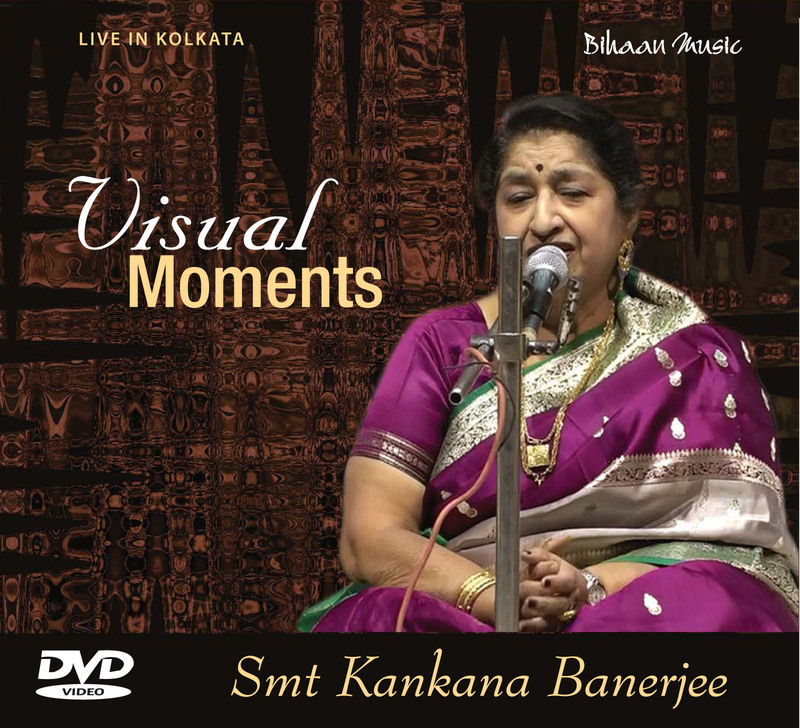 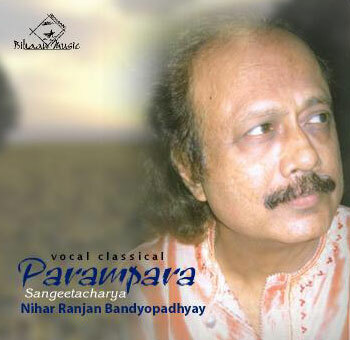 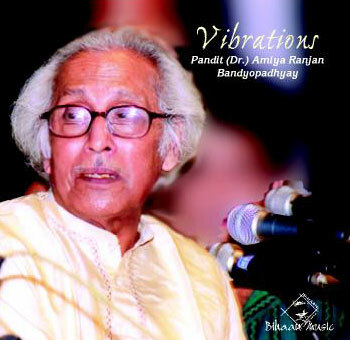 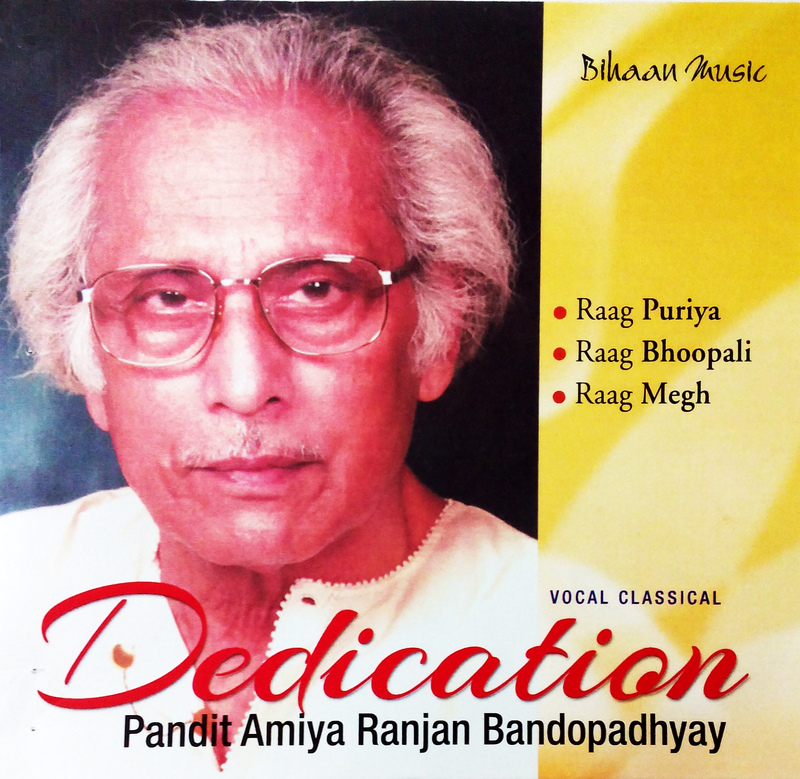 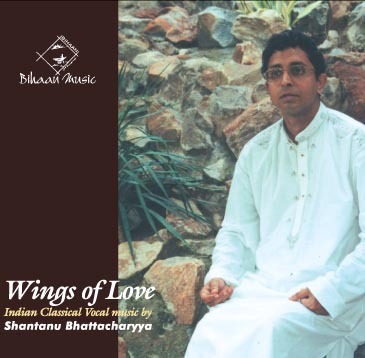 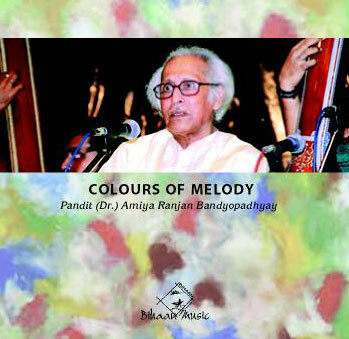 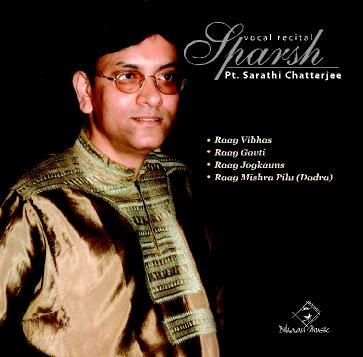 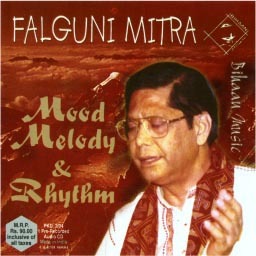 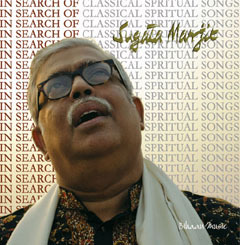 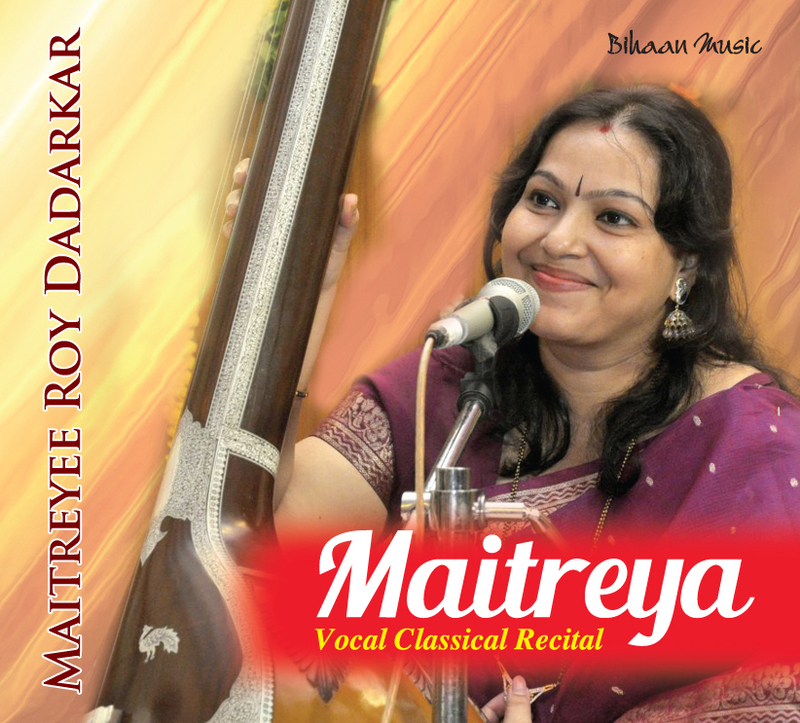 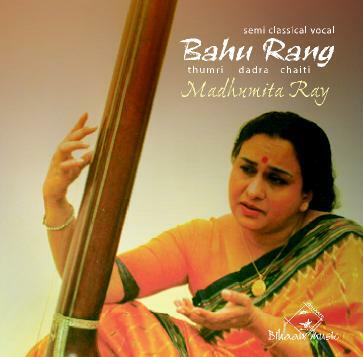 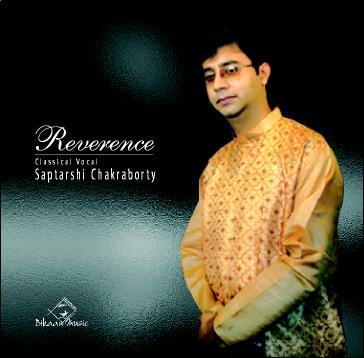 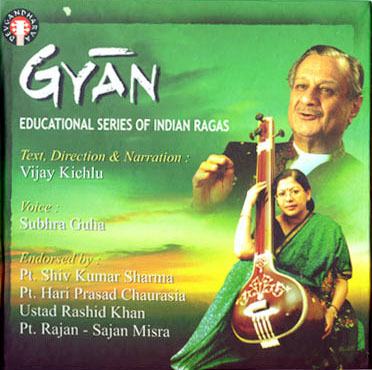 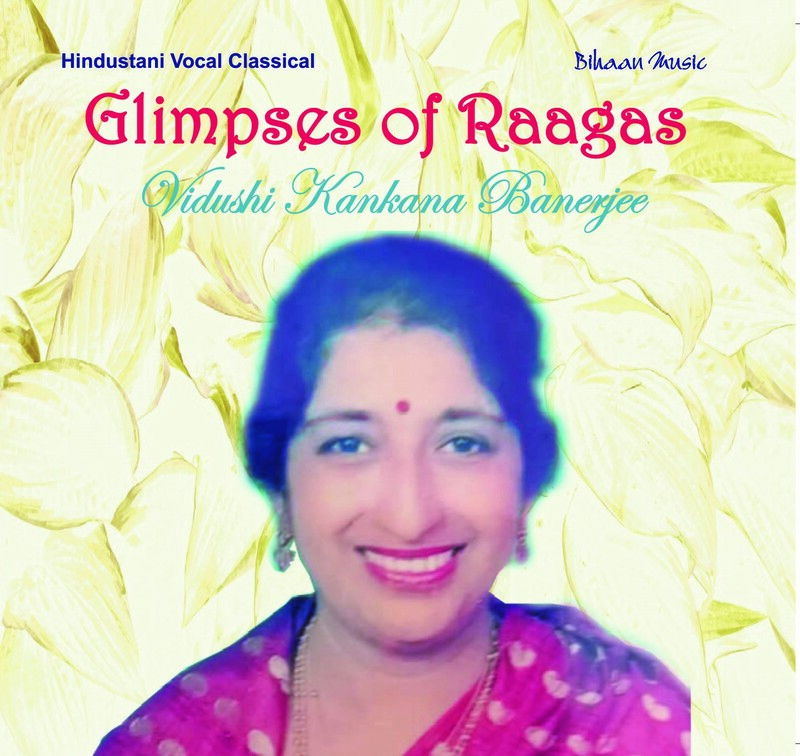 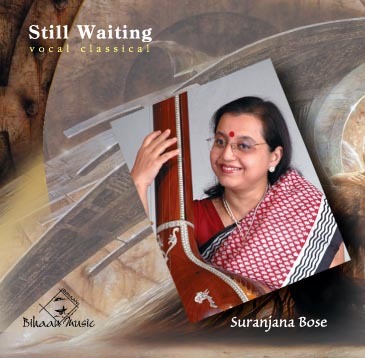 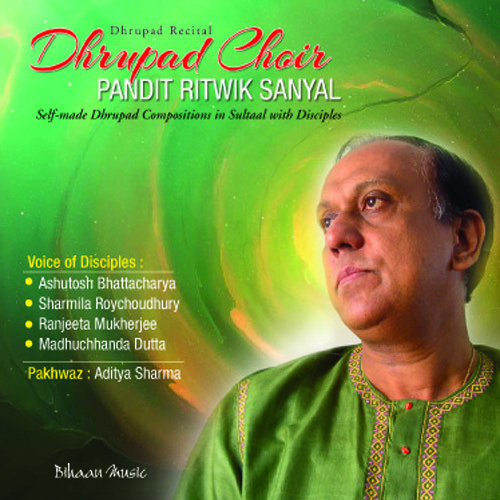 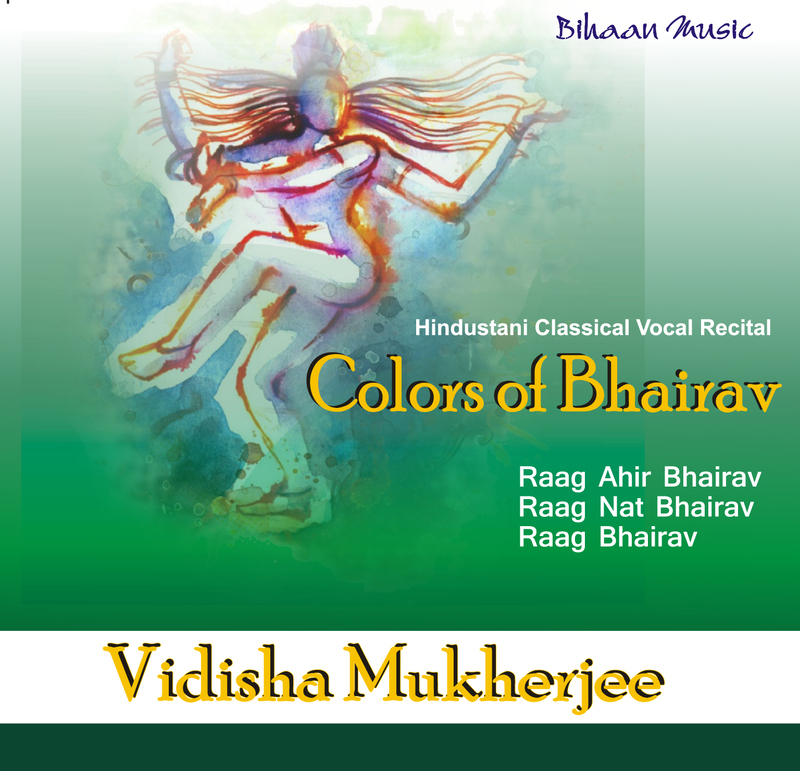 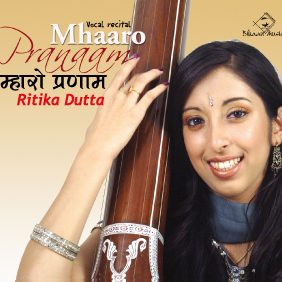 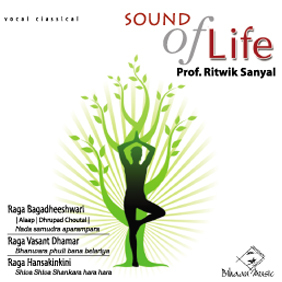 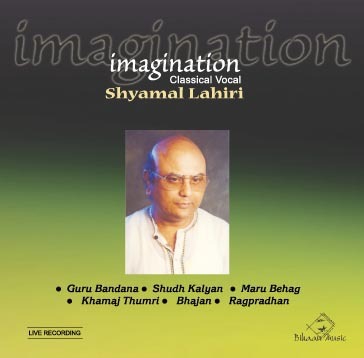 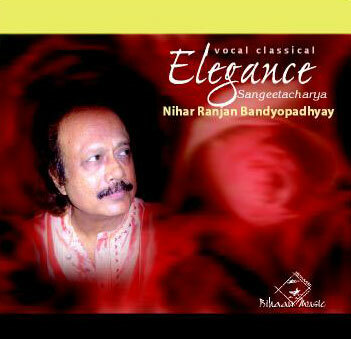 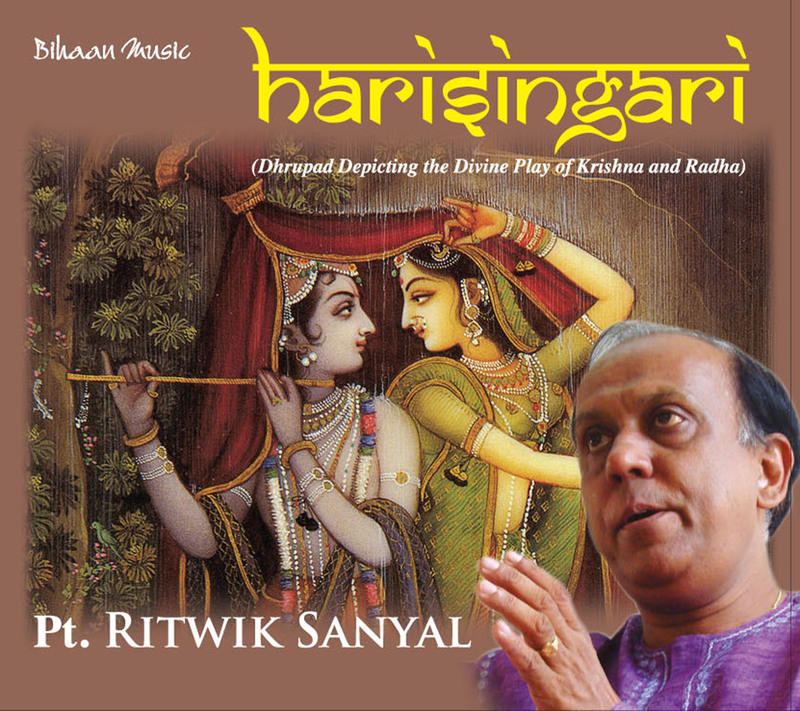 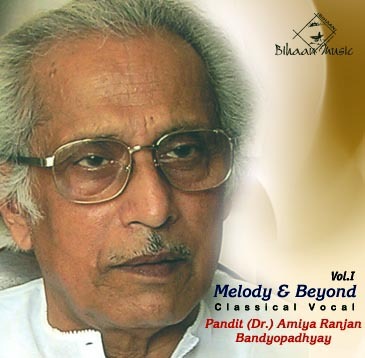 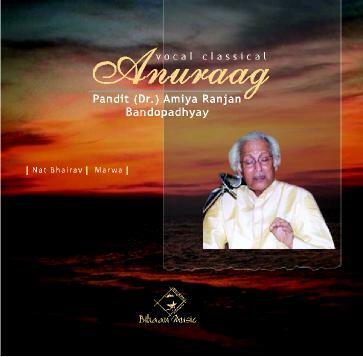 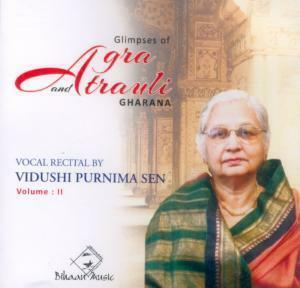 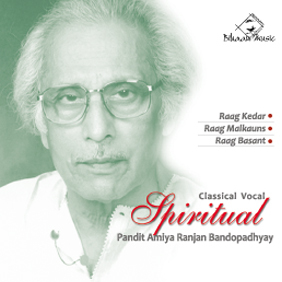 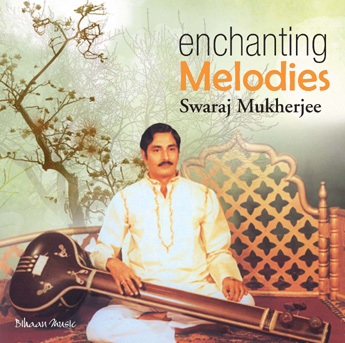 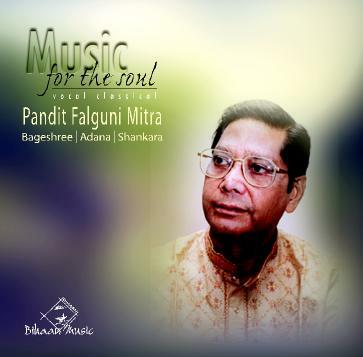 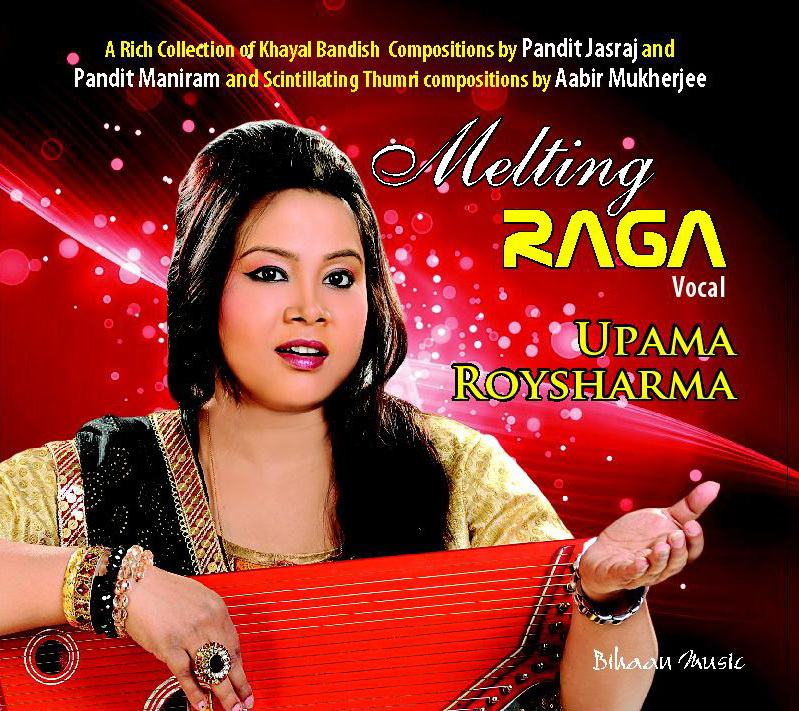 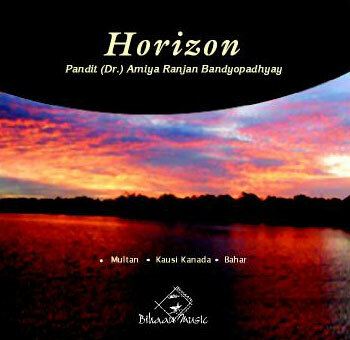 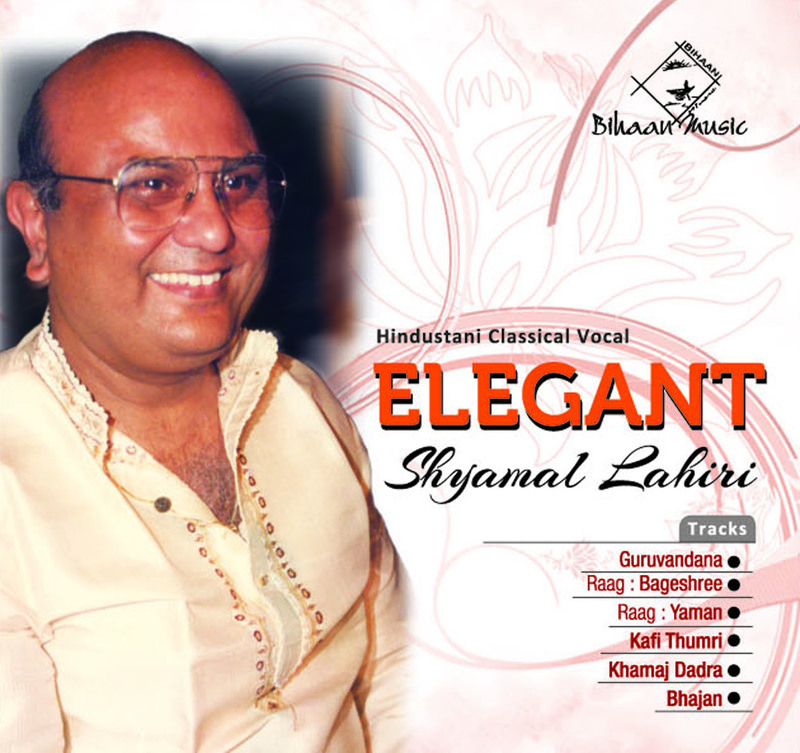 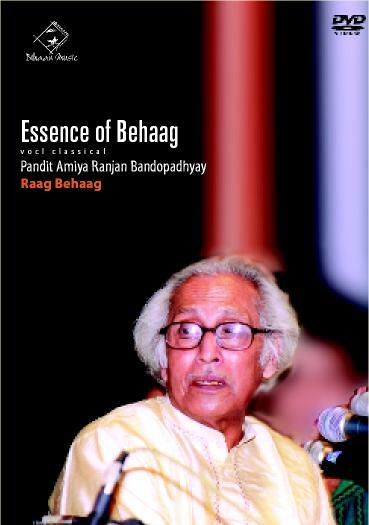 Gargi was initiated into vocal classical music from a tender age under Shri Hari Ranjan Bhattacharya. 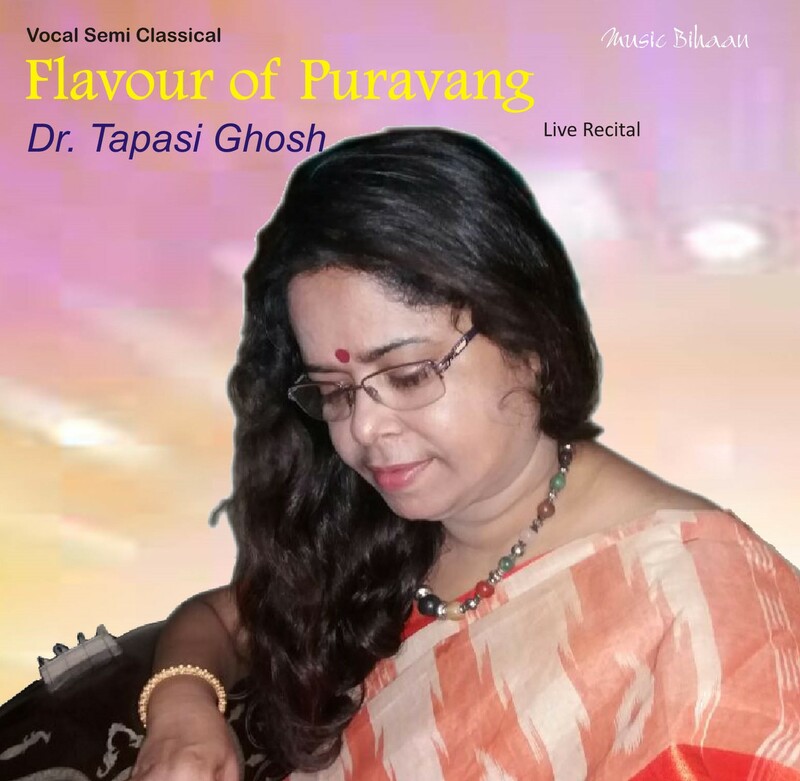 Later, she received rigorous training from Shri Aurobindo Chakraborty, a disciple of the great maestro Guru Gnyan Prakash Ghosh. 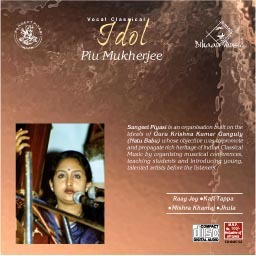 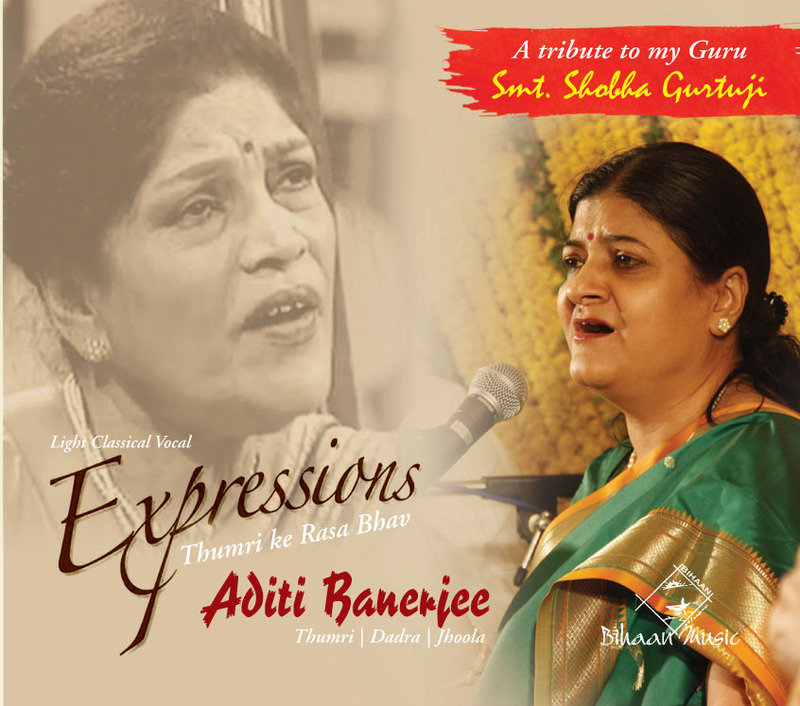 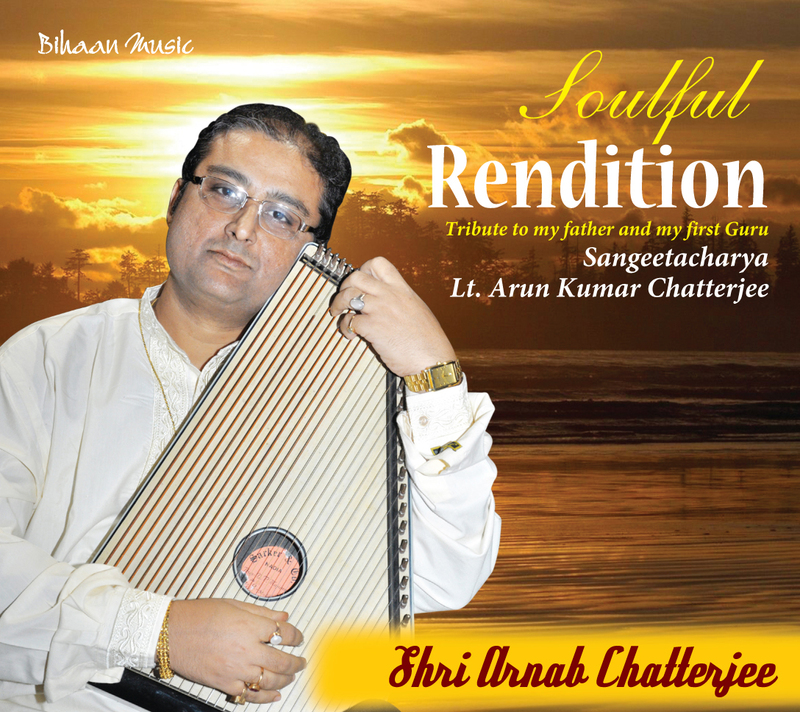 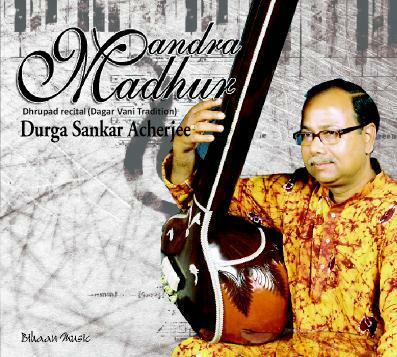 As a scholar at the prestigious ITC Sangeet Research Academy Kolkata, Gargi received training under the able guidance of Pandit Arun Bhaduri, a well-known exponent of Kirana Gharana. 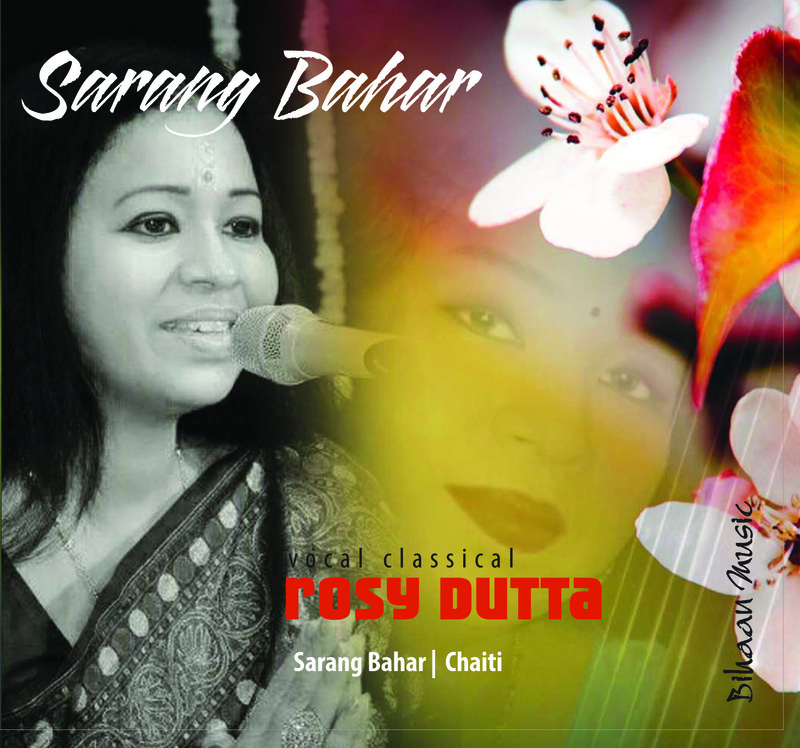 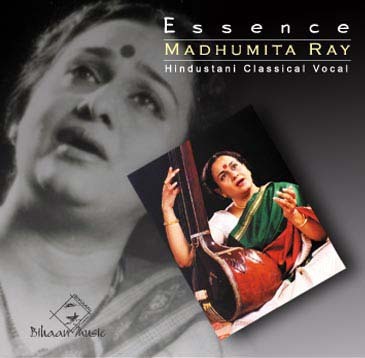 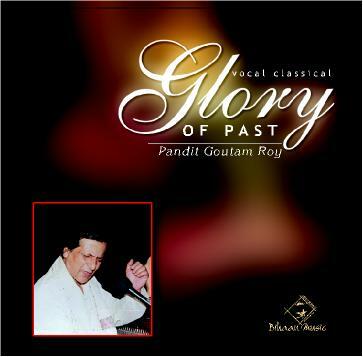 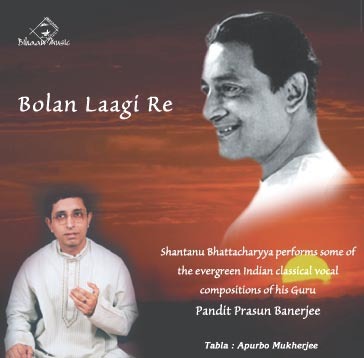 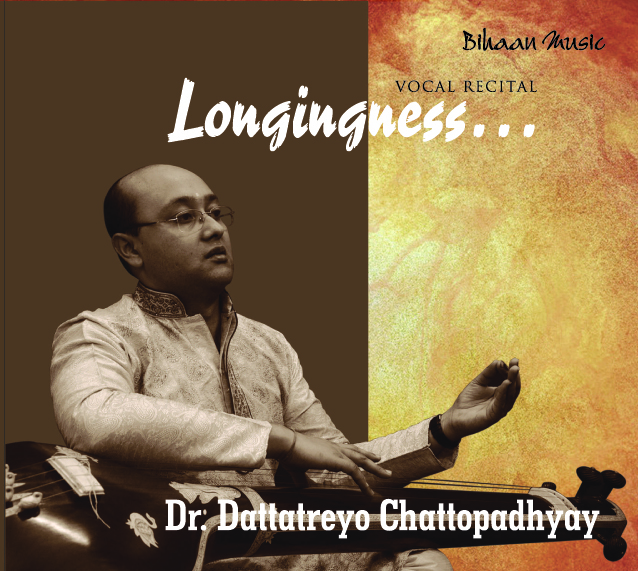 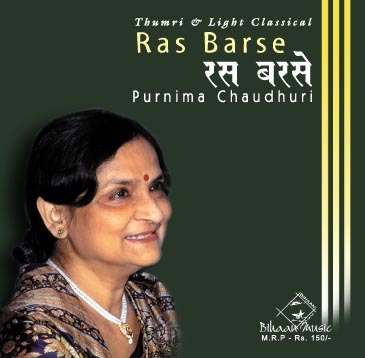 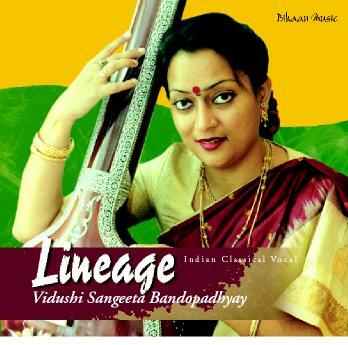 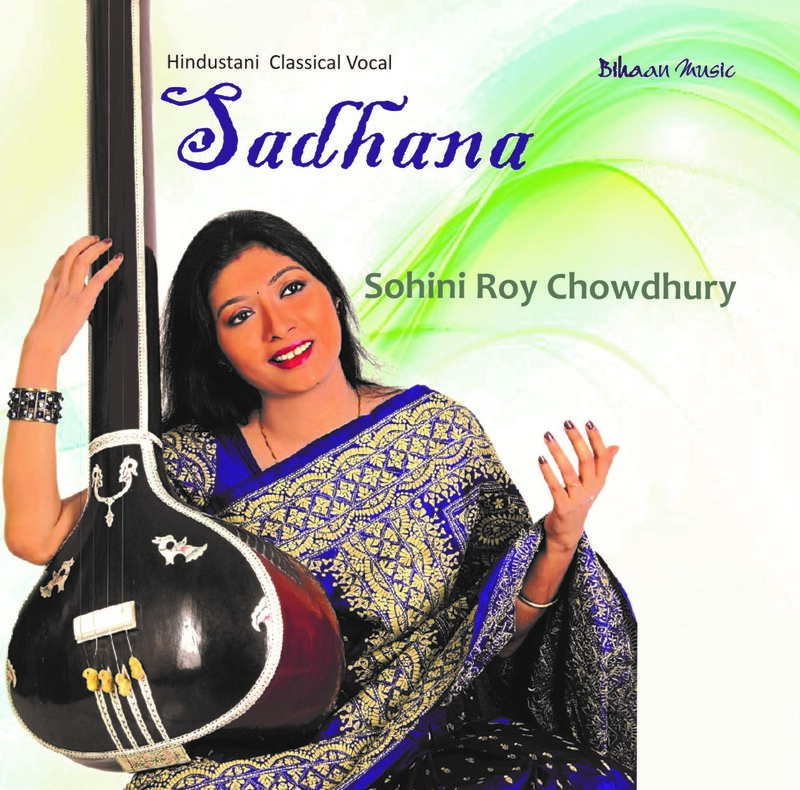 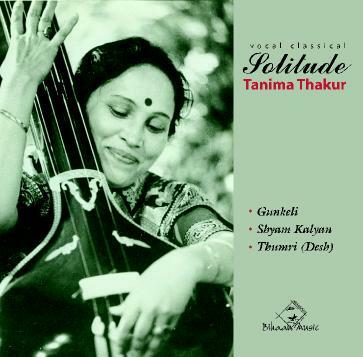 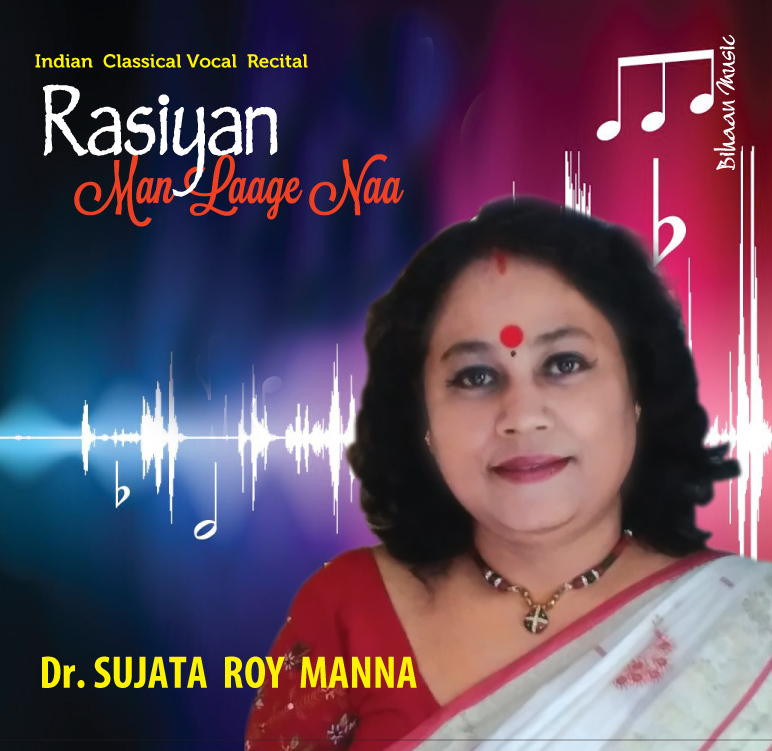 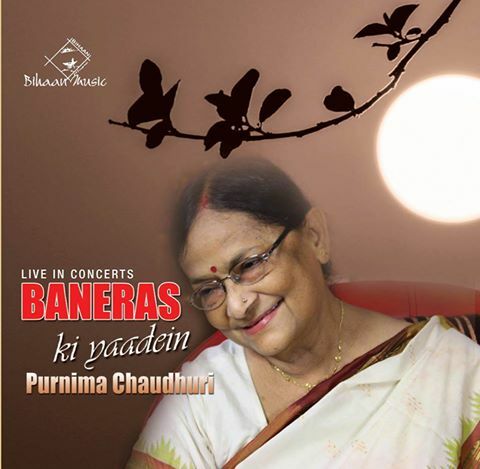 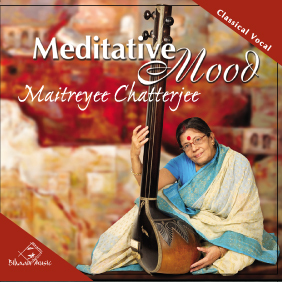 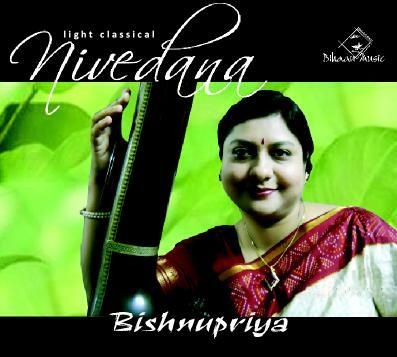 Later, she became a disciple of late doyen of Kirana Gharana, late Pandit Biresh Roy, who was the youngest ever disciple of late Pandit Girija Shankar Chakraborty. 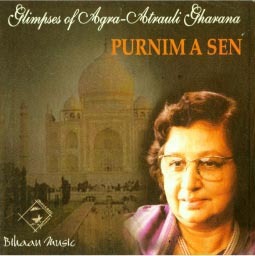 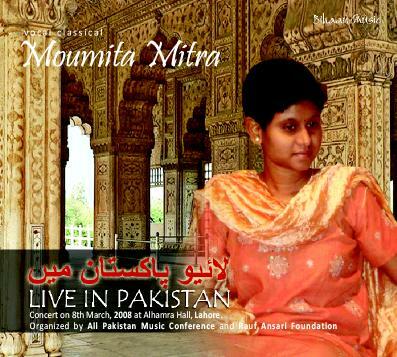 At present she is taking talim in Ghazal under the able guidance of the great maestro Ustad Sabir Khan. 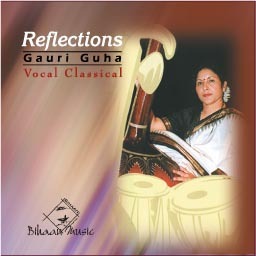 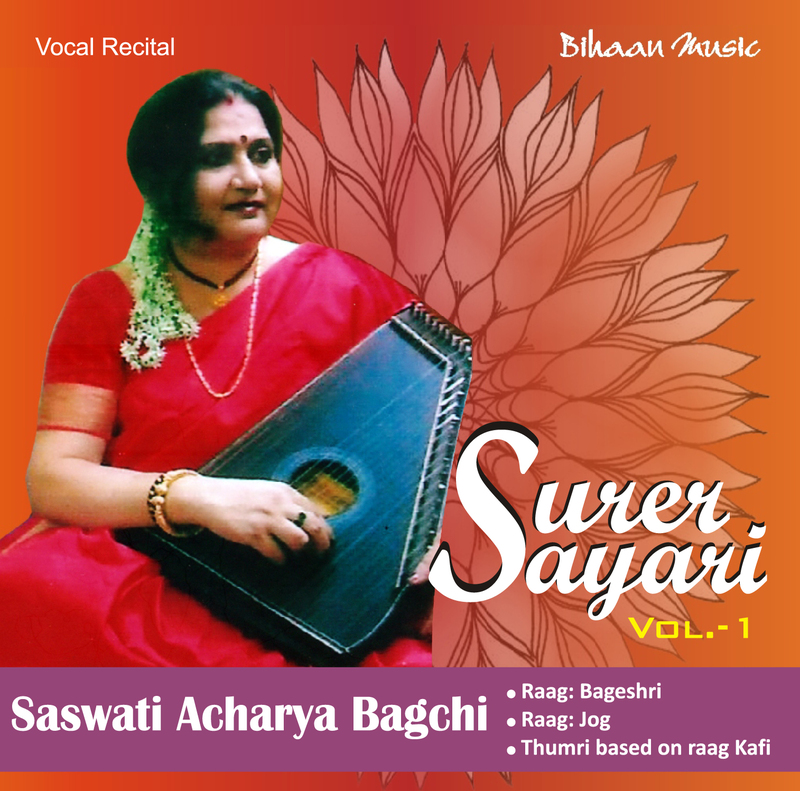 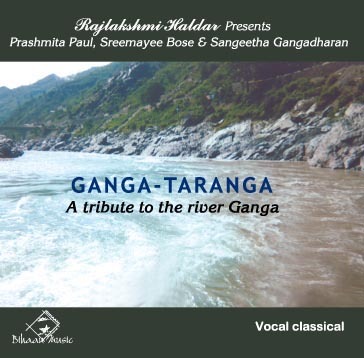 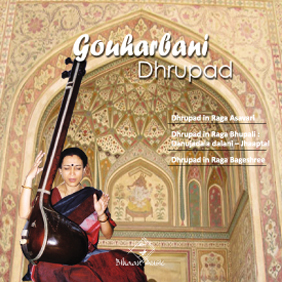 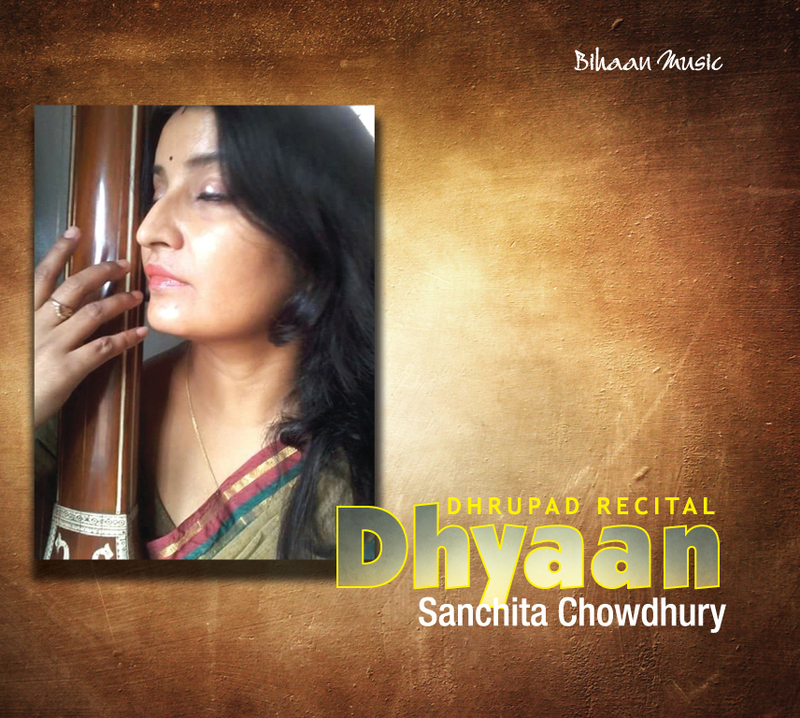 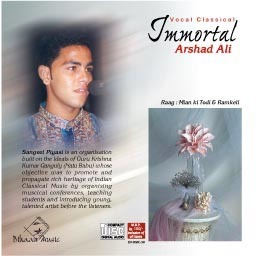 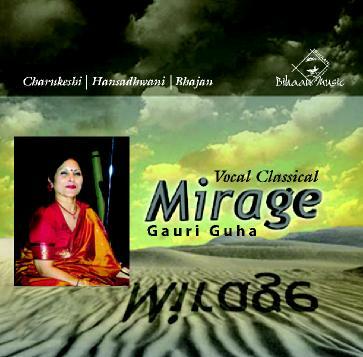 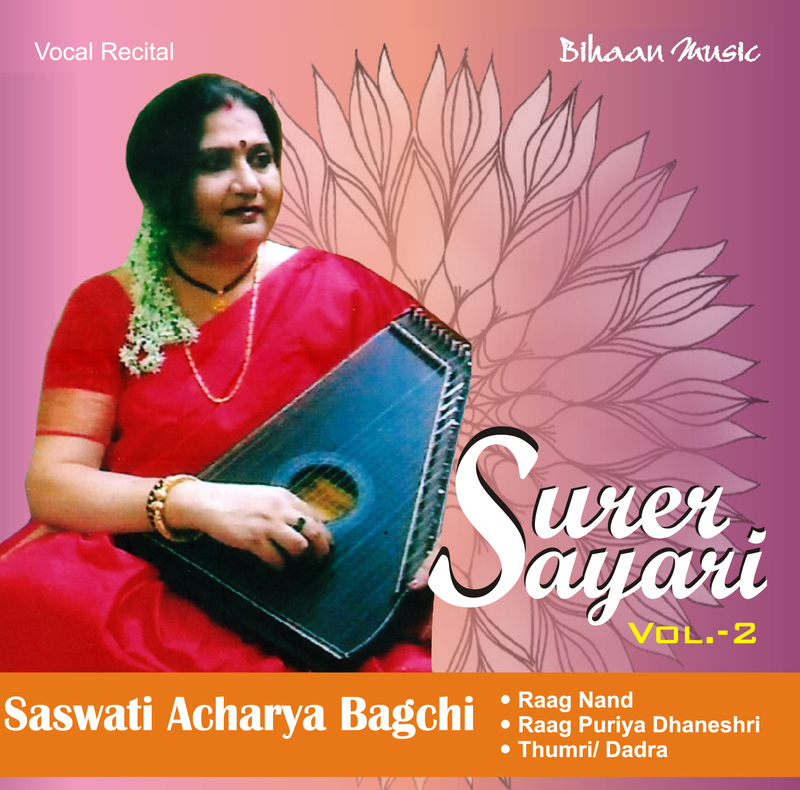 Gargi specialises in Khayal and Thumri genres. 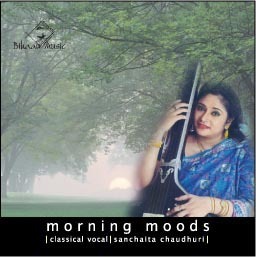 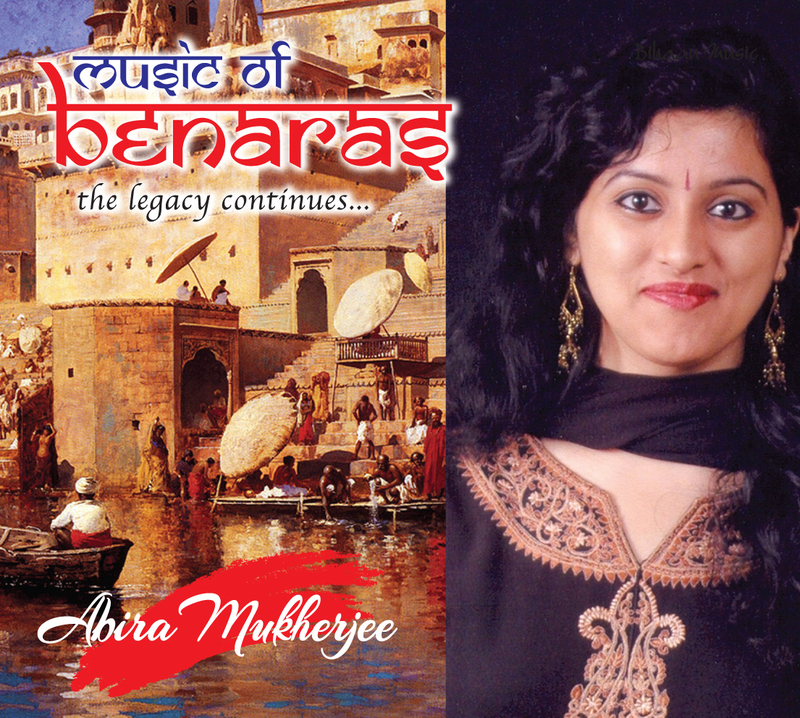 She was a recipient of National Scholarship in Music as well as Junior Fellowship in Music from the Ministry of Human Resources and Development, Government of India. 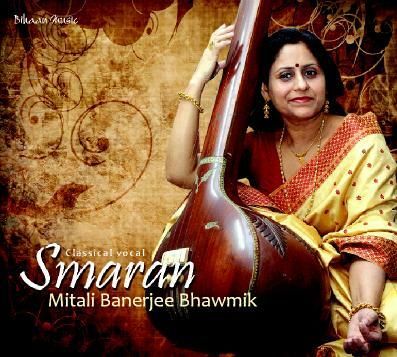 A Gold Medalist holding the degree M (Music) from Rabindrabharati University, Gargi has performed in several prestigious musical programmes, including in All India Music Festival, ‘Shamalaya’, a cultural organization that represents the synthesis between India and Bangladesh. 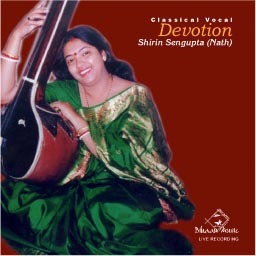 She has also performed in many concerts in USA. 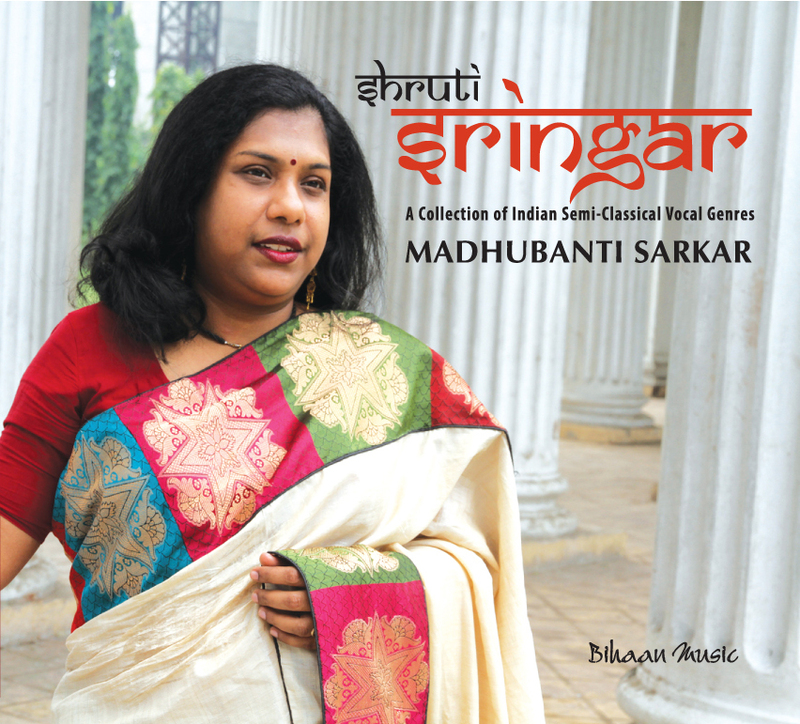 A graduate of Presidency College, Gargi holds an MA from Calcutta University and M.Phil from Jadavpur University, in English. 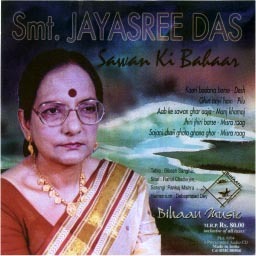 She also completed her B.Ed. 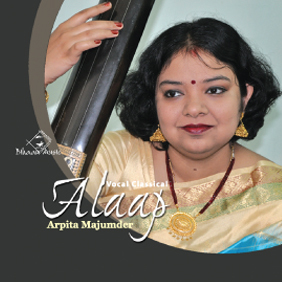 Being interested in foreign languages, Gargi had completed a Diploma Course in French Language from Alliance Francais, Kolkata and is also well proficient in German language being a student from Max Mueller Bhavan, Kolkata, where she is continuing to pursue higher of studies. 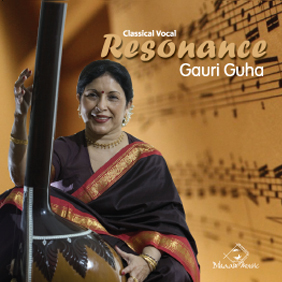 Gargi teaches English and German languages at the Senior Secondary level in an English School.